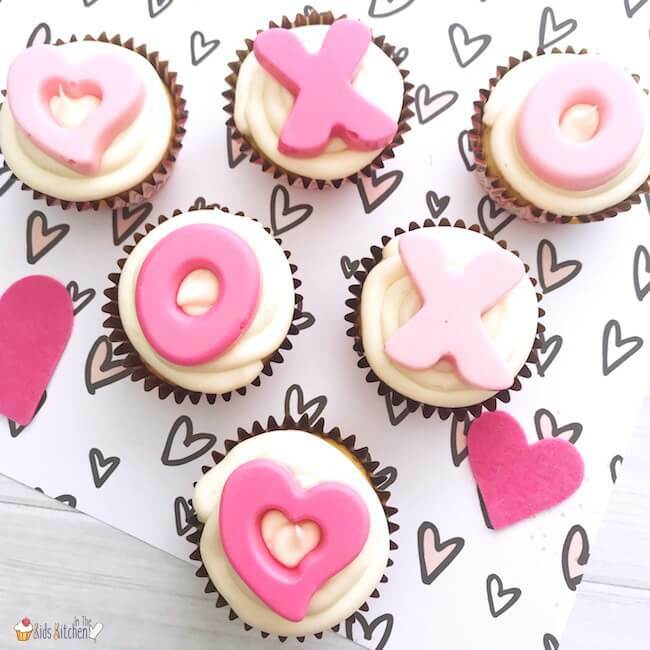 Are you planning on making cupcakes for Valentine’s Day? 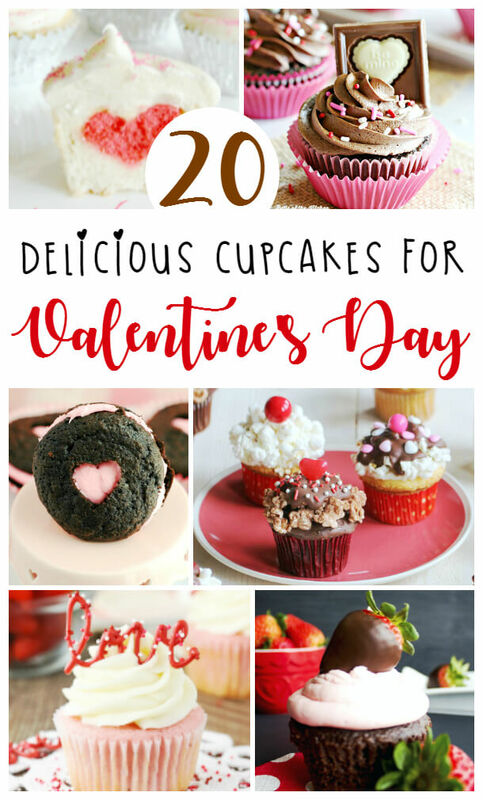 This beautiful and delicious collection of 20+ Valentine’s Day Cupcakes will definitely give you some inspiration for how to treat your sweetheart this year! 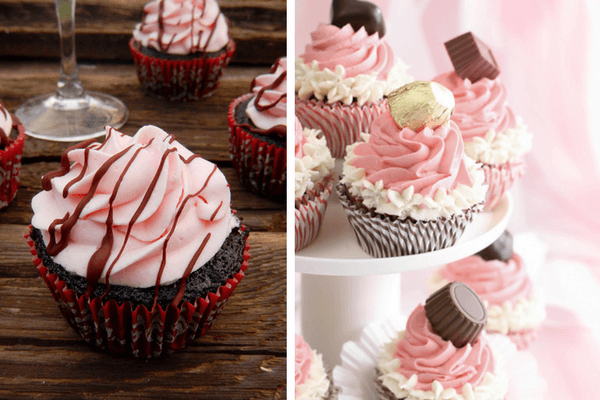 We’ve put together a fun collection of Valentine’s Day Cupcakes from our favorite food bloggers! 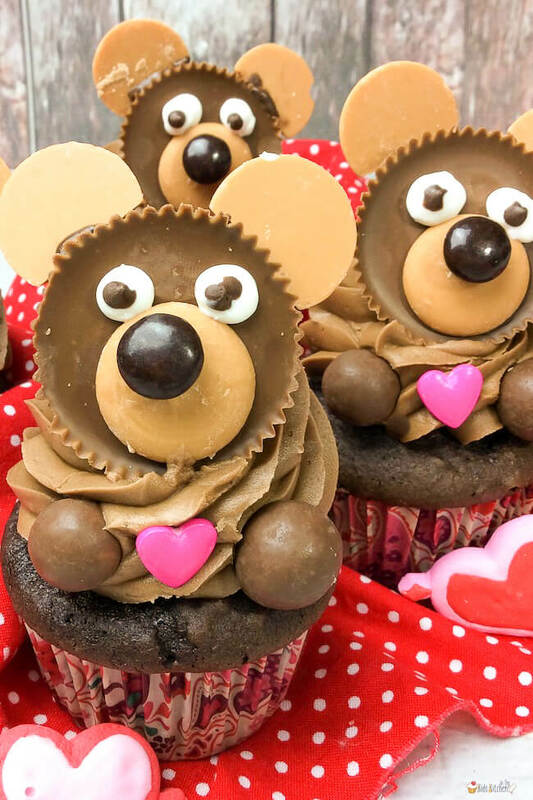 There are so many clever ideas here that are guaranteed to make your favorite people feel special! Many of these recipes can be made by and enjoyed by kids of all ages. 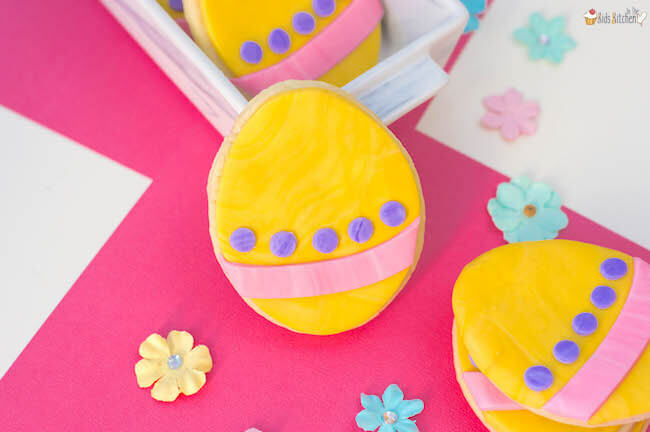 Don’t write off a recipe because it looks too fancy or complicated to make – you’d be surprised at how easy most of these masterpieces are to recreate! 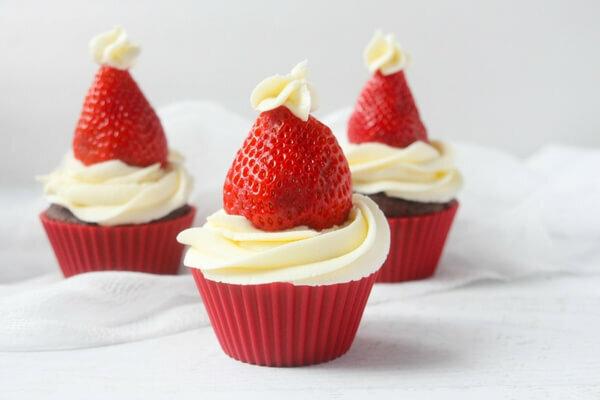 My daughter, Miss G, made these Natural Strawberry-Vanilla Cupcakes last year for Valentine’s Day and Stacey’s cute strawberry ladybugs would make an adorable cupcake topper, too! 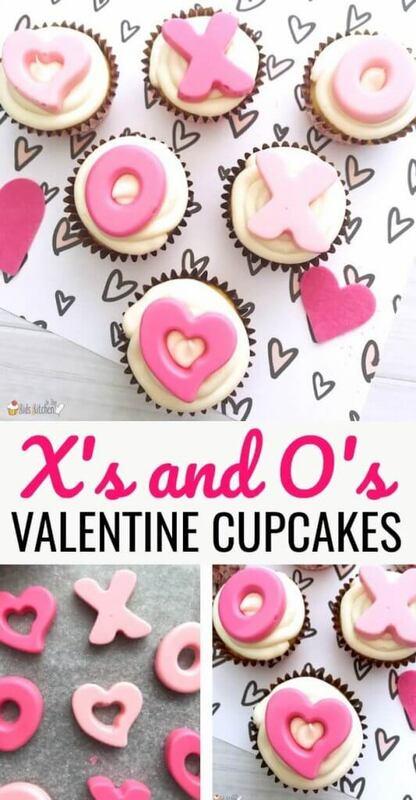 Have fun looking at all of these Valentine’s Day Cupcakes! 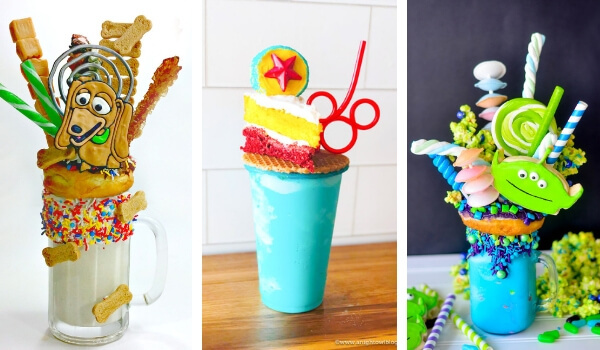 If you do make any of them, we’d love to hear how they turned out in the comments below! 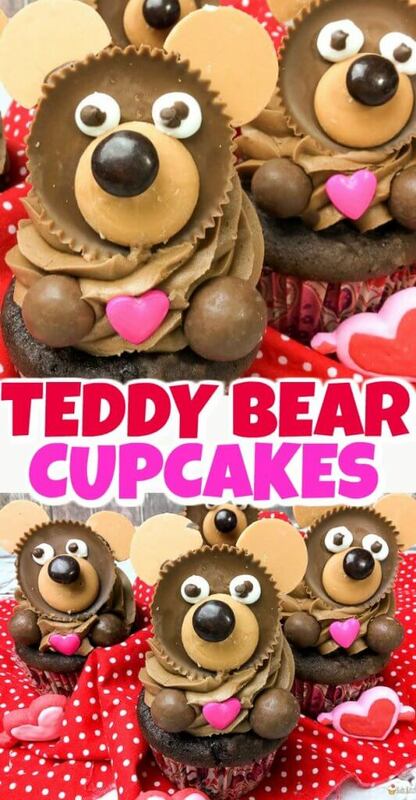 NEW RECIPE: Check out our Teddy Bear Cupcakes! 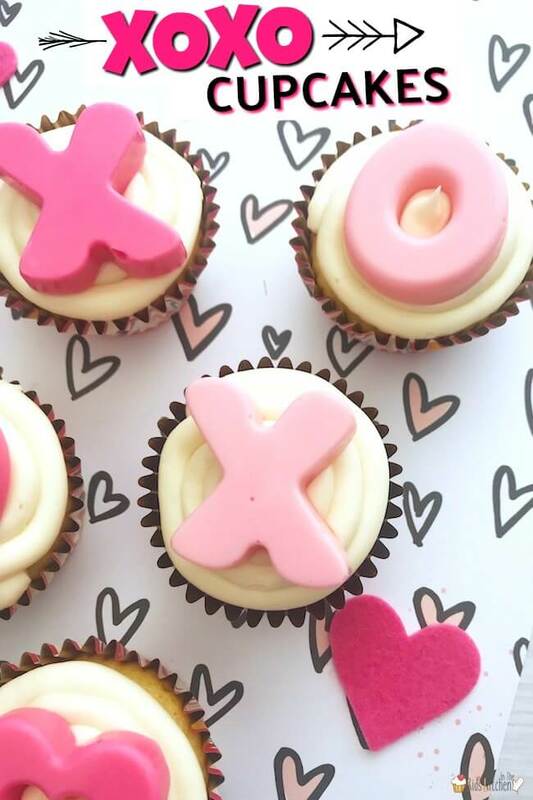 Are you in the mood for cupcakes now? 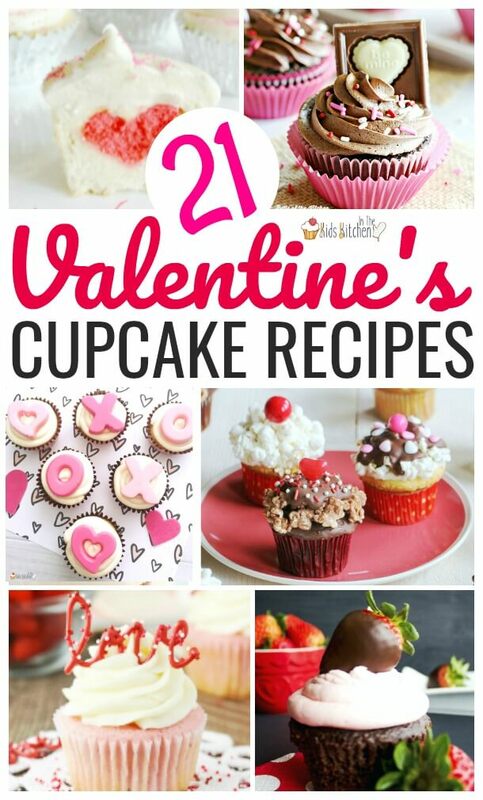 Which recipe do you think you’ll be trying this Valentine’s Day? 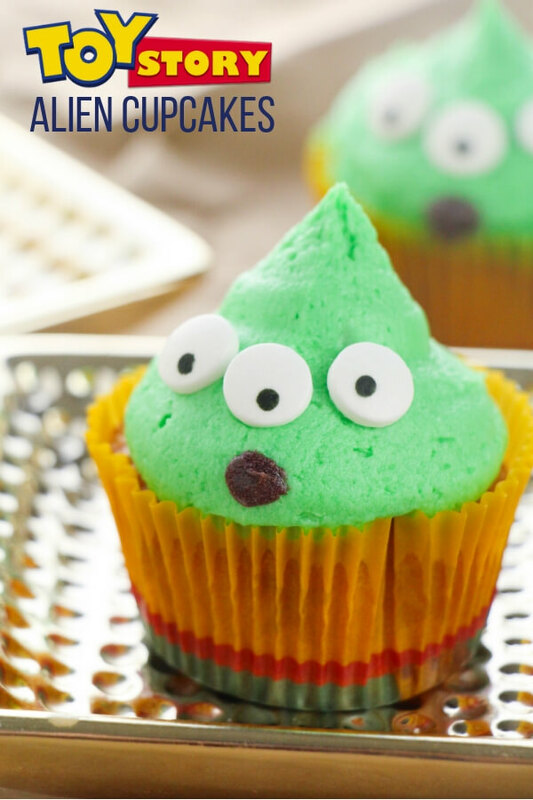 Inside: Inspired by the Dr. Seuss classic, these quirky Cat in the Hat Cupcakes are sure to be a hit with young readers! 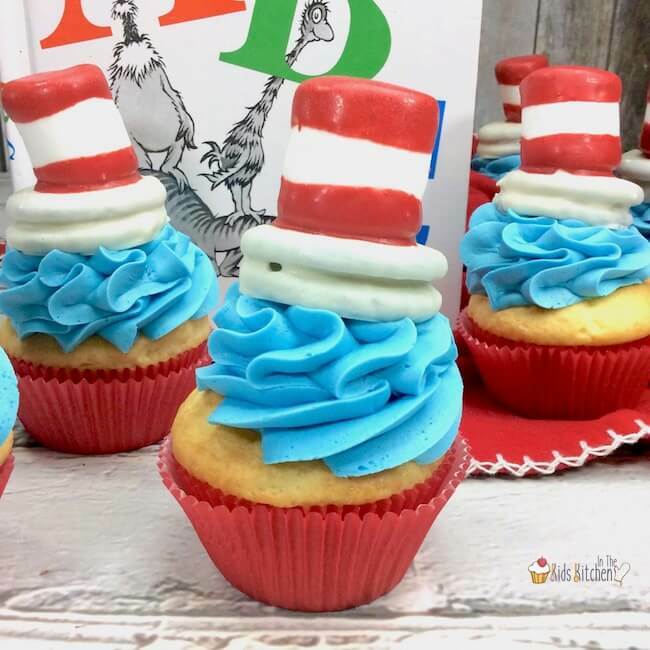 These red, white, and blue cupcakes are inspired by perhaps the most famous Dr. Seuss book of all, The Cat in the Hat. 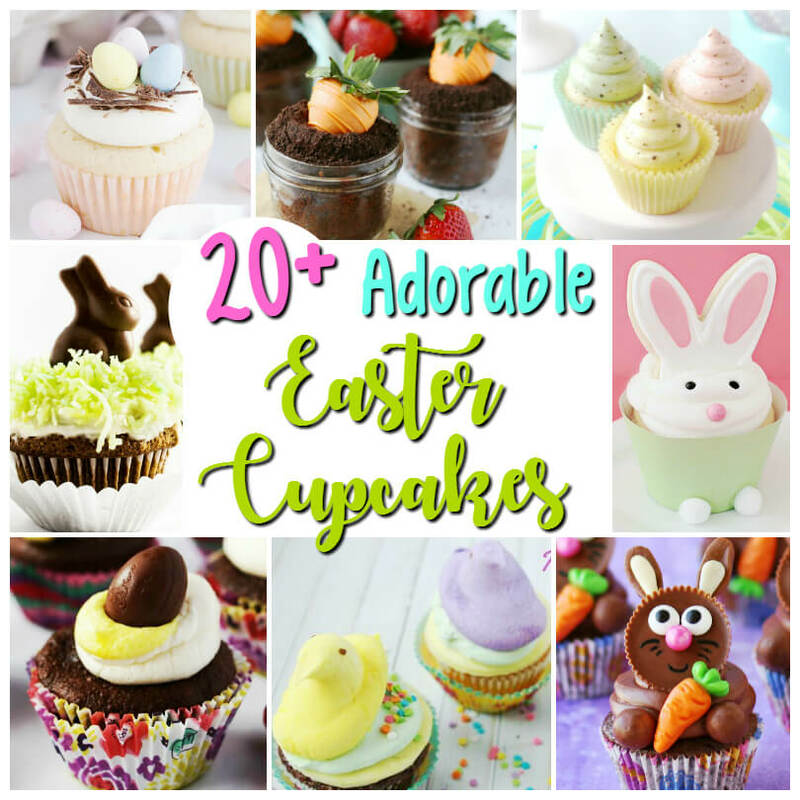 They’re super cute, piled high with goodies, and just the right amount of quirky! We love them! We broke the recipe into sections for each component so it would be easier to follow. 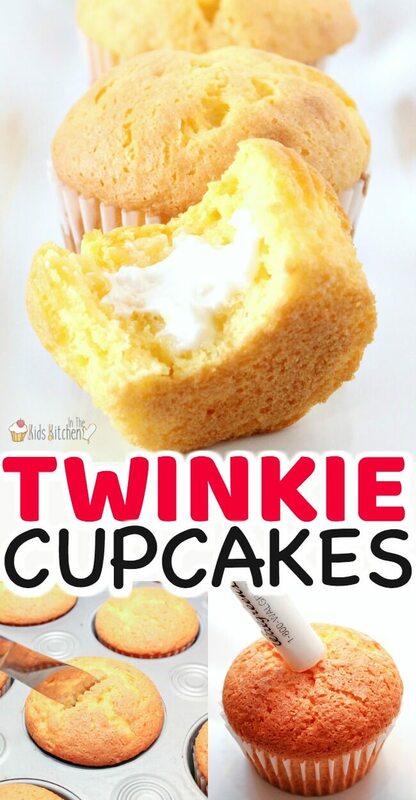 Preheat oven to 350°F and prepare your cupcake pan with cupcake liners. 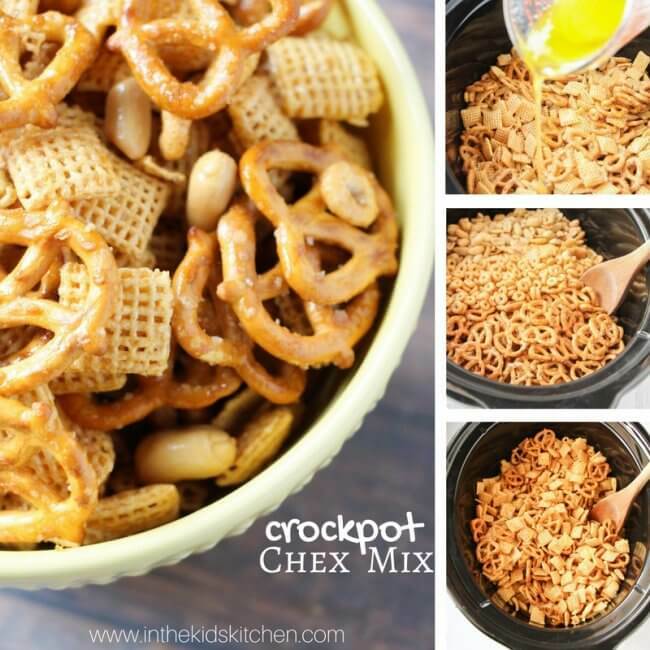 In a standing mixer, combine the cake mix, butter, milk, and vanilla bean pasta and mix until a smooth batter forms. Scoop batter into the cupcake liners, about 3/4 of the way full. Bake for 21 minutes at 350°F, then remove from oven and allow to cool. 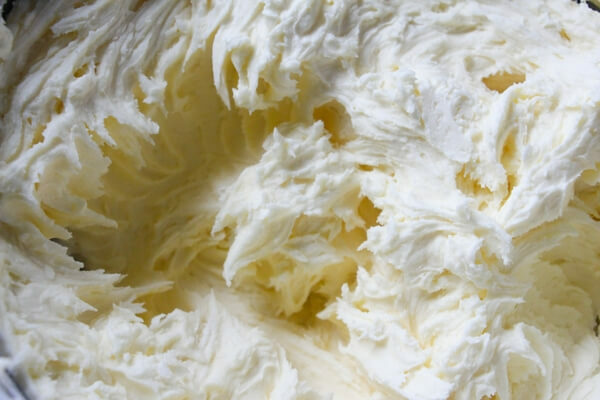 If your frosting looks powdery, simply add another tablespoon of heavy whipping cream. 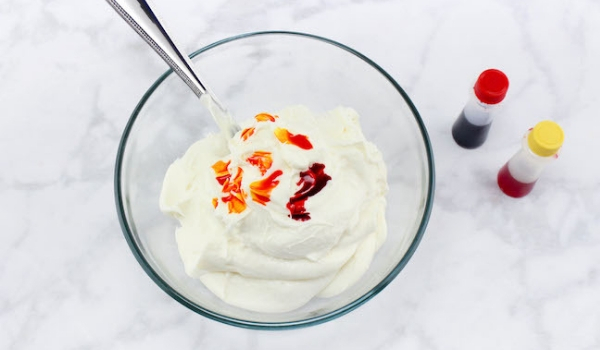 Mix until you achieve a smooth, creamy consistency, and stiff peaks form. 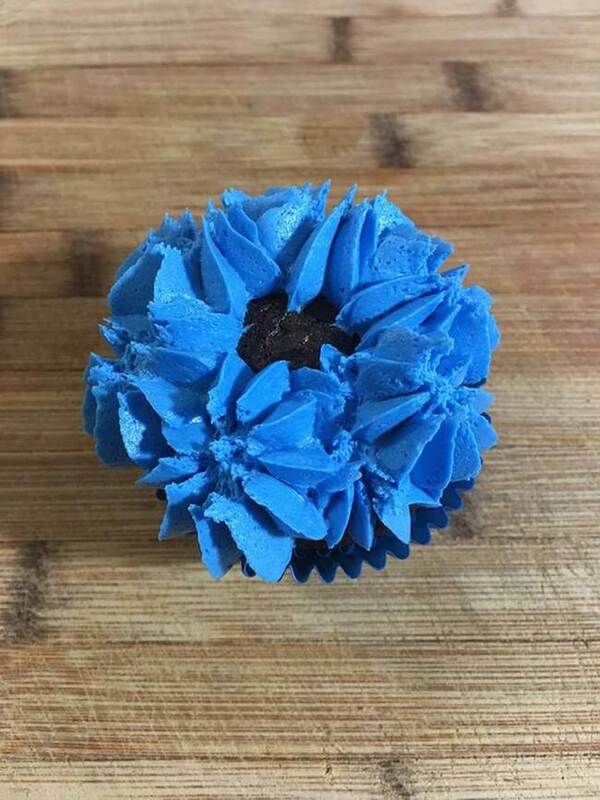 Mix in a few drops of the blue gel coloring until you have a bright blue frosting. 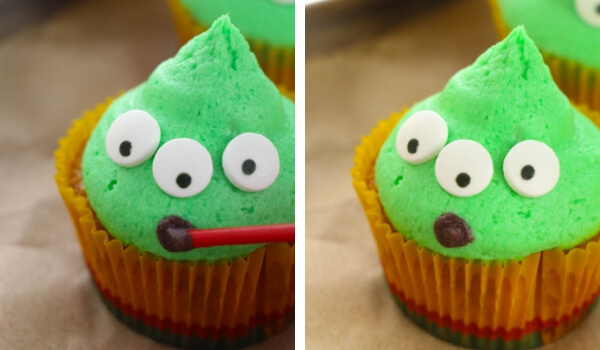 Scoop frosting into plastic piping bag and set aside. Using a double boiler, melt the white chocolate. Stir until smooth. Dip each Oreo into chocolate, turning with a fork until completely coated. Allow excess chocolate to drip back into bowl, then place Oreo on cookie sheet fitted with parchment paper or silicone baking mat to dry. Allow Oreos to completely set. 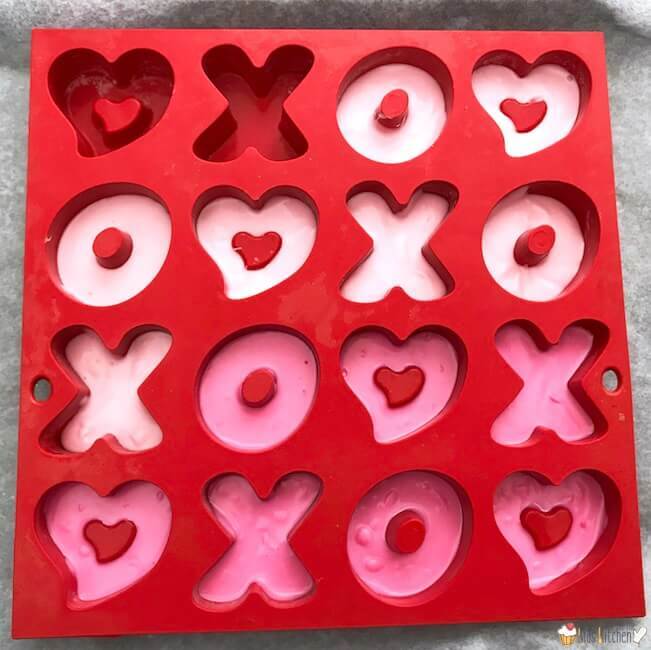 Melt red chocolate using double boiler or microwave. 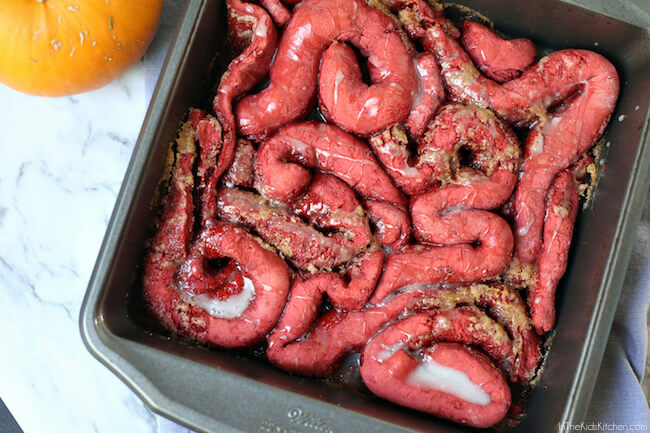 Stir in coconut oil to slightly thin out the red chocolate. 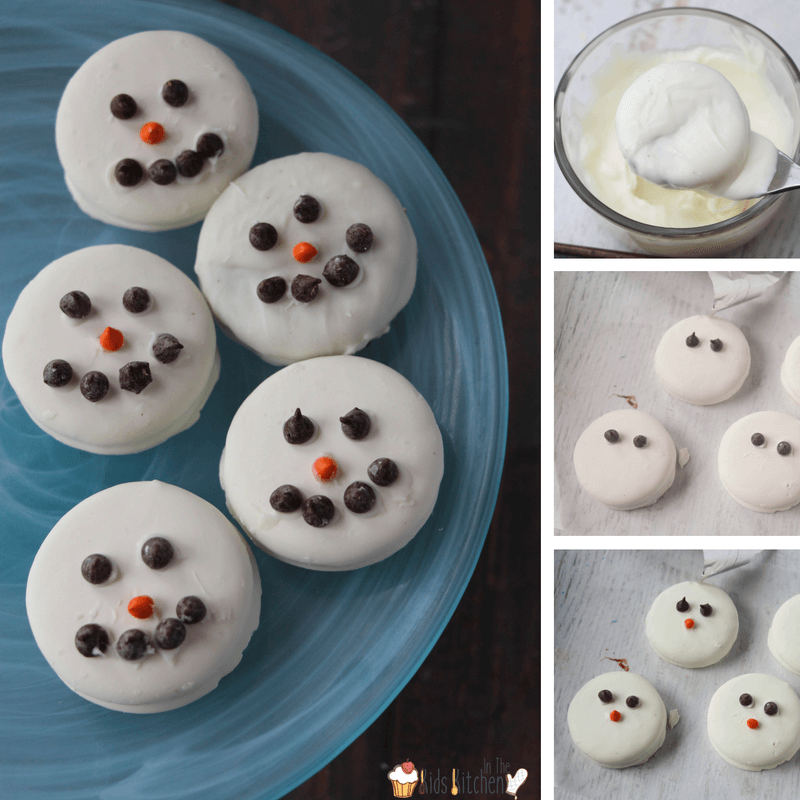 Dip the top 1/4th of each marshmallow into the melted red candy, allowing excess to drip back into bowl. Place on cookie sheet to dry. 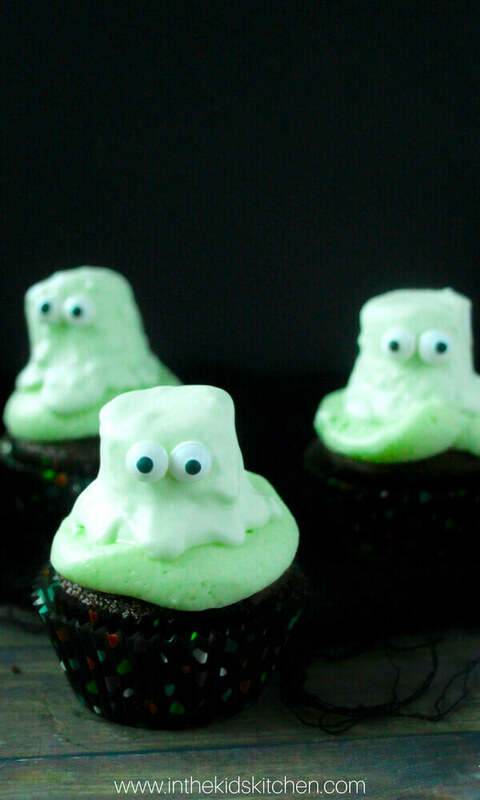 Repeat this step with all marshmallows. Once this layer of red chocolate has completely hardened on the marshmallows, flip them over and dip the bottom 1/4th. 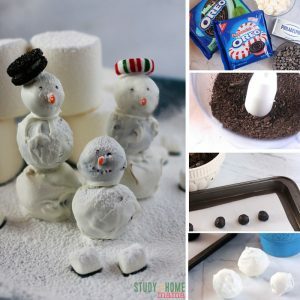 Place each striped marshmallow on top of a chocolate covered Oreo, using the still-wet side of the marshmallow to adhere to the cookie. 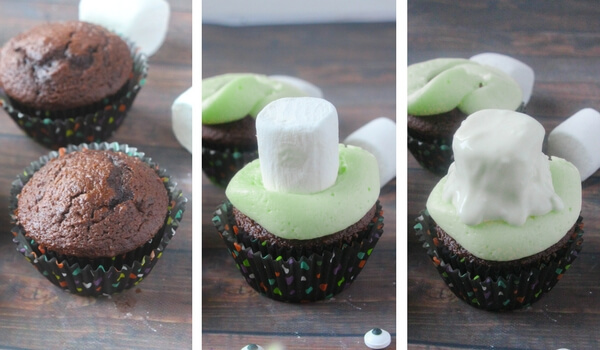 Repeat until you’ve made “hats” with all marshmallows and cookies. Allow to dry completely. 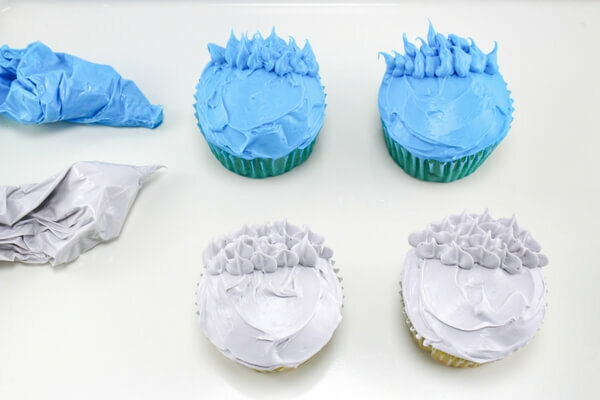 While “hats” dry, frost your cupcakes with the blue frosting you made earlier. 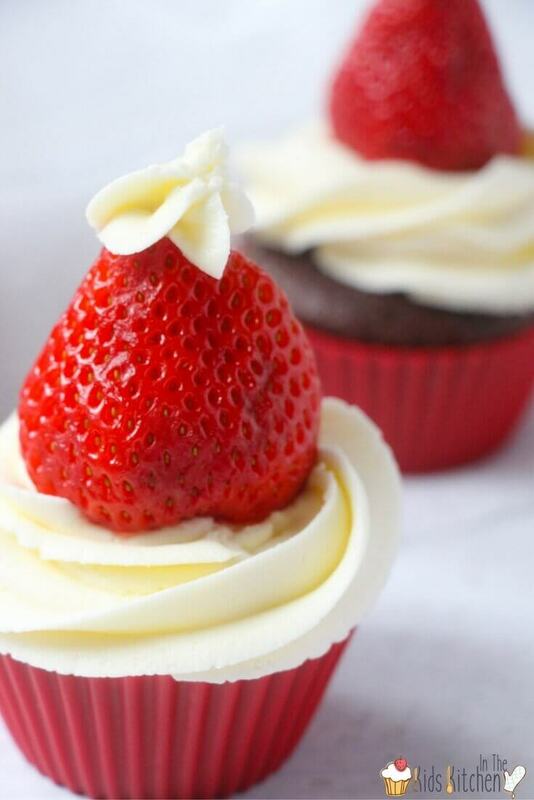 We use a star tip on our piping bag. 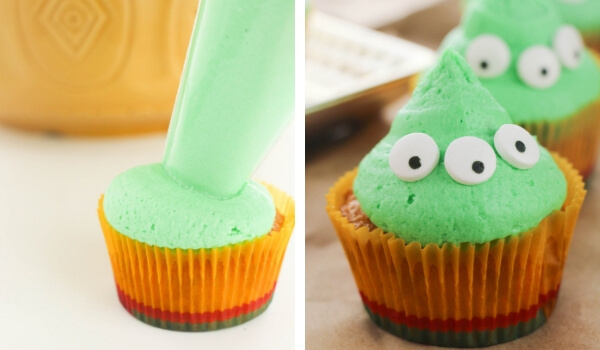 Gently place a “hat” one top of each frosted Cat in the Hat cupcake. Dip each Oreo into chocolate, turning with a fork until completely coated. Allow excess chocolate to drip back into bowl, then place Oreo on cookie sheet fitted with parchment paper to dry. 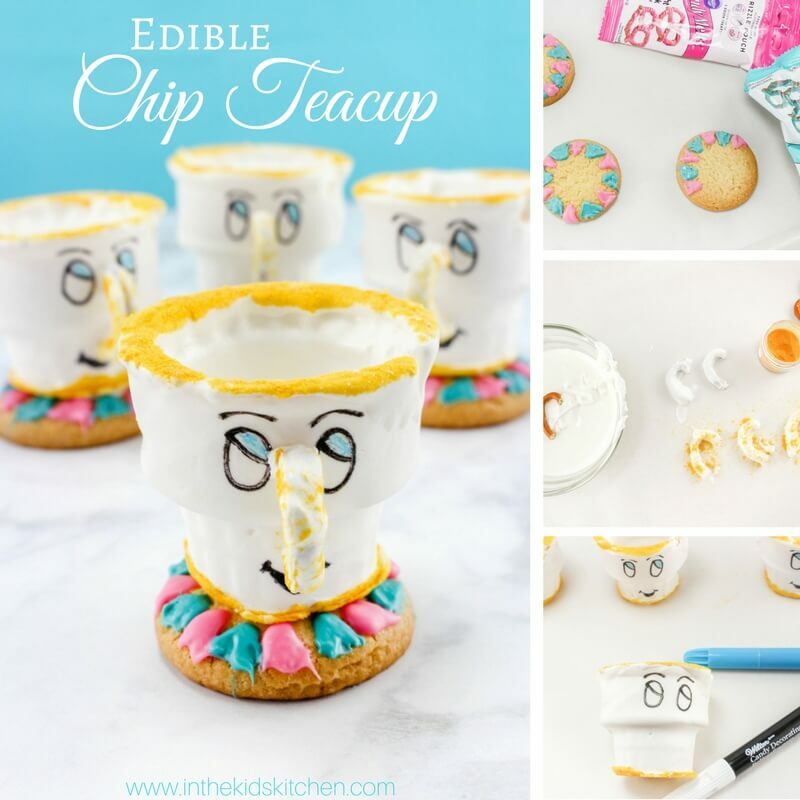 Repeat until you've made "hats" with all marshmallows and cookies. Allow to dry completely. 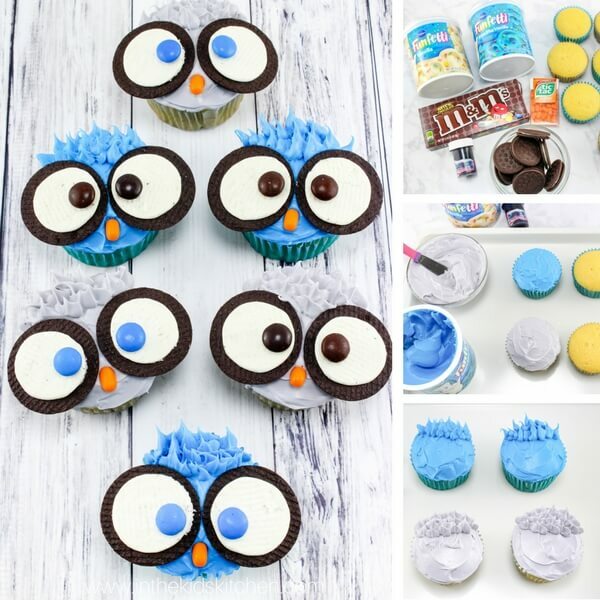 While "hats" dry, frost your cupcakes with the blue frosting you made earlier. 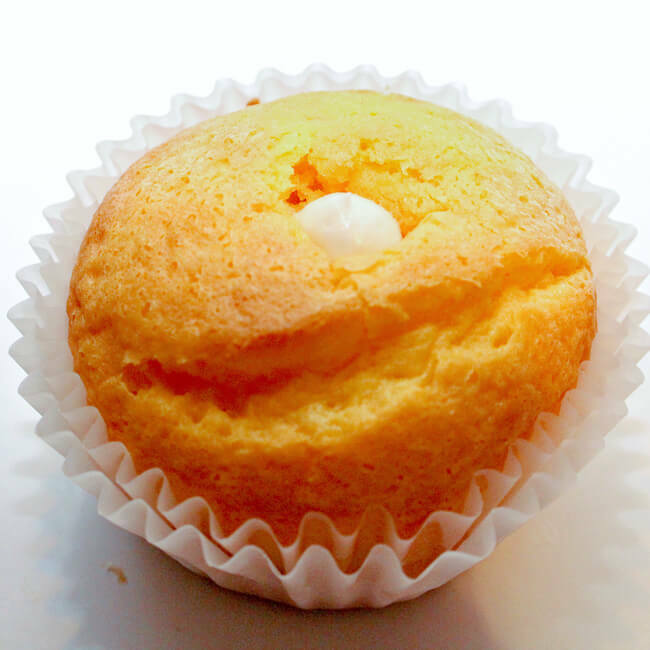 We use a star tip on our piping bag. 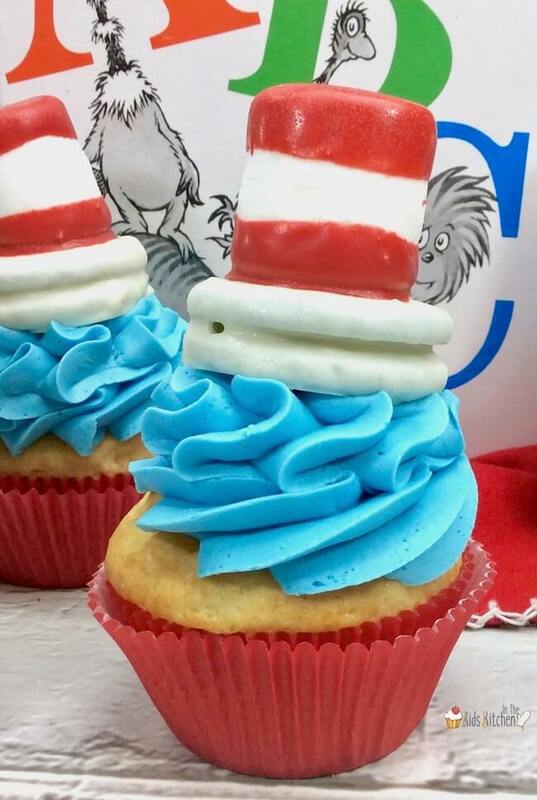 Gently place a "hat" one top of each frosted Cat in the Hat cupcake. 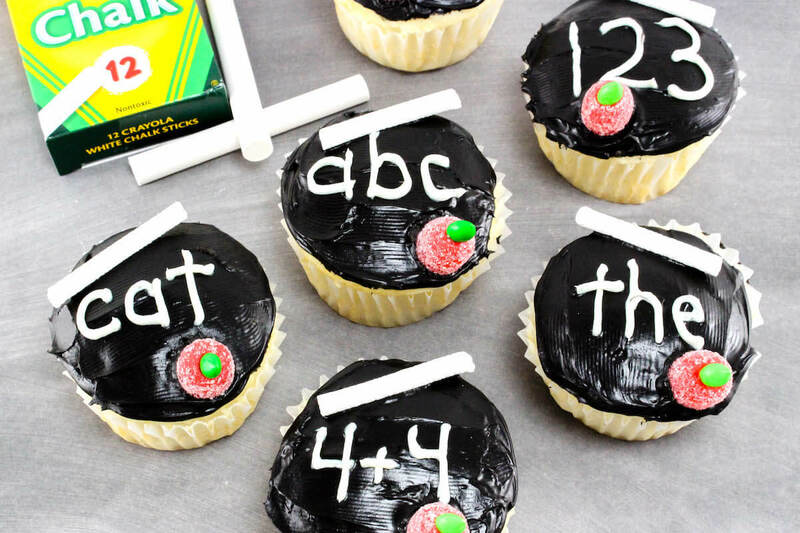 Get creative and celebrate a new school year with these super-cute chalkboard cupcakes! 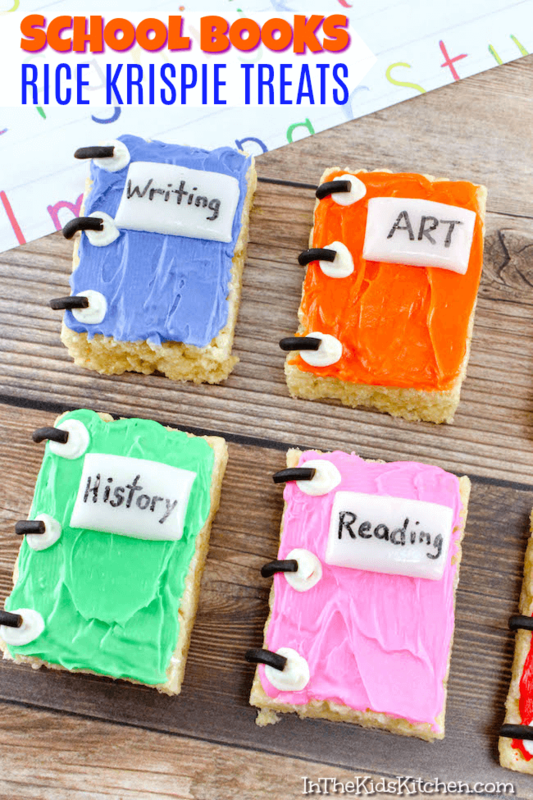 Want to start the new school year off on the right foot with your child’s new teacher? 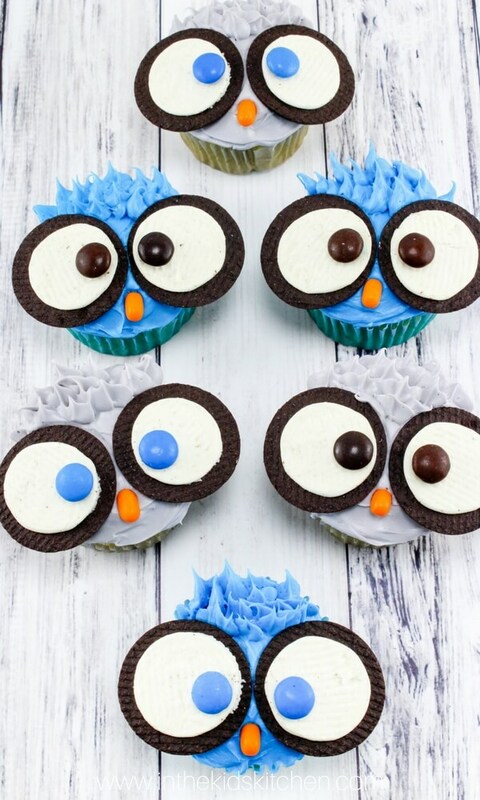 Bring them cupcakes!! 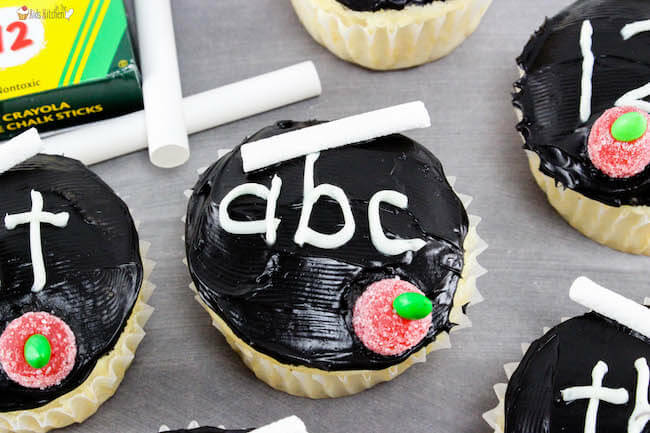 We love to treat our teachers and office staff to baked goods throughout the year, and these chalkboard cupcakes are not only adorable, but they are perfect for back to school. 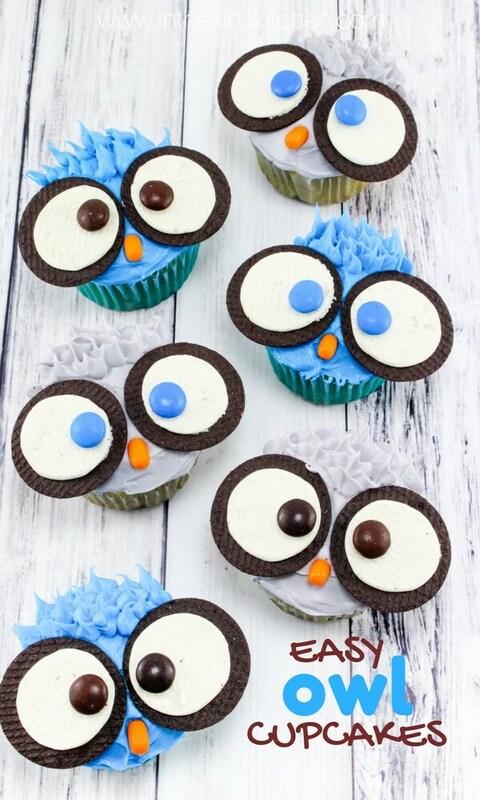 Plus, kids will have a blast making them and it might help get them excited about going back to school. 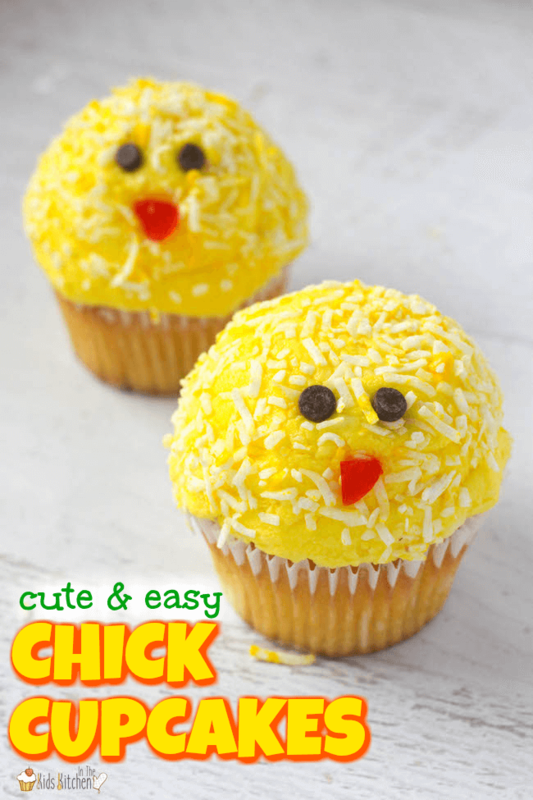 You can use any cupcakes to make this recipe, whether store-bought or homemade. To save time, we used a box mix. 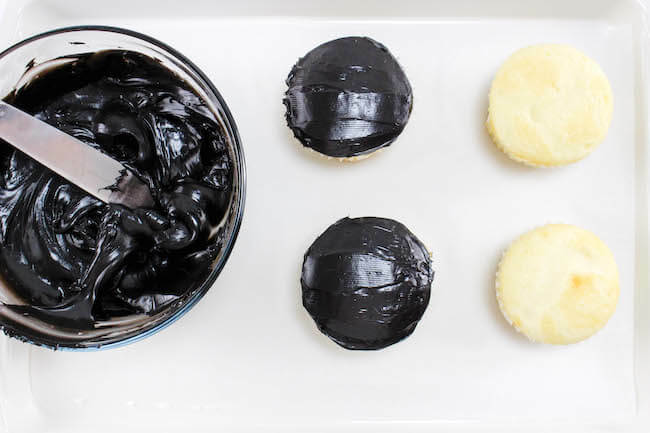 Using the black gel food coloring, darken the chocolate frosting until it is a rich shade of black. 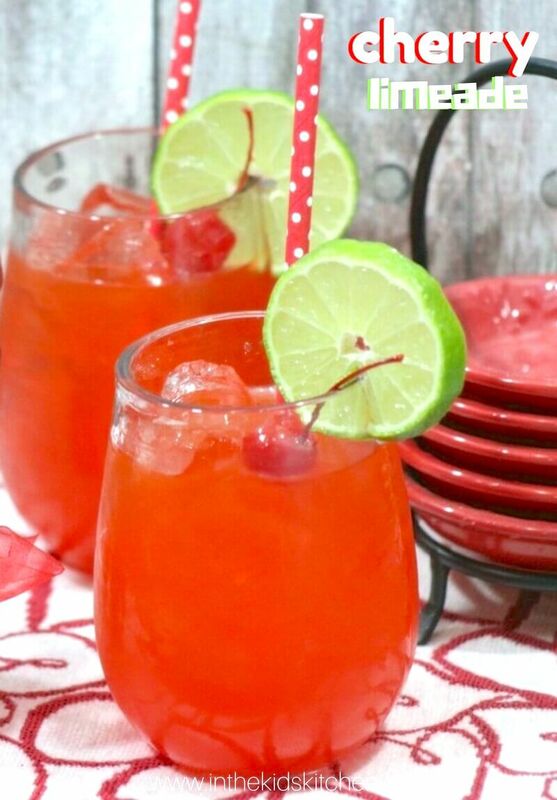 Add food coloring one drop at a time to avoid using more than necessary. 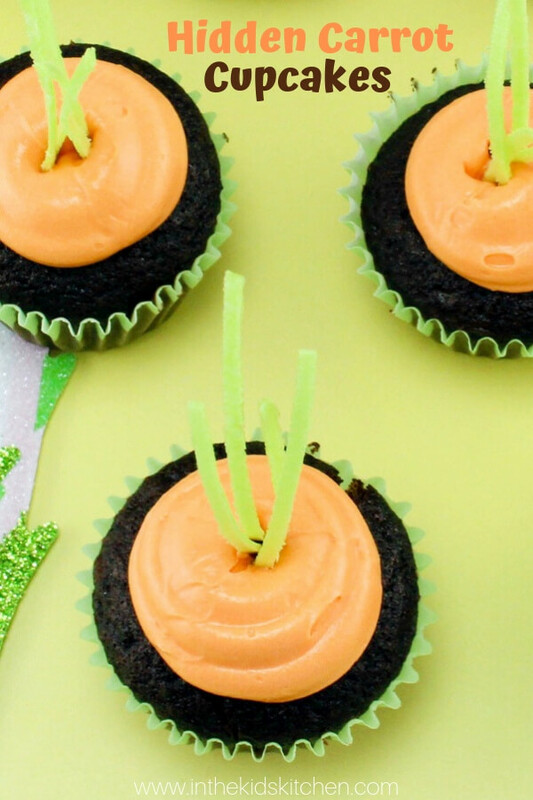 Frost tops of cupcakes completely with black frosting. 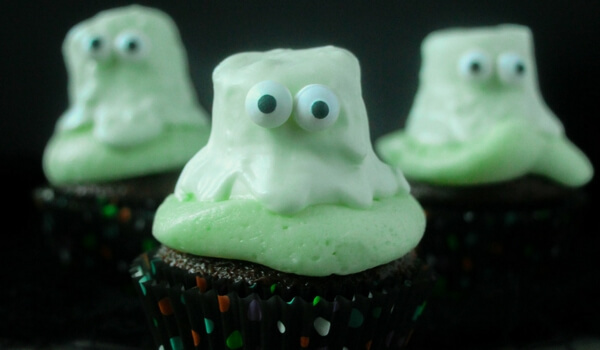 Scoop white frosting into a piping bag and cut a small piece off the corner. 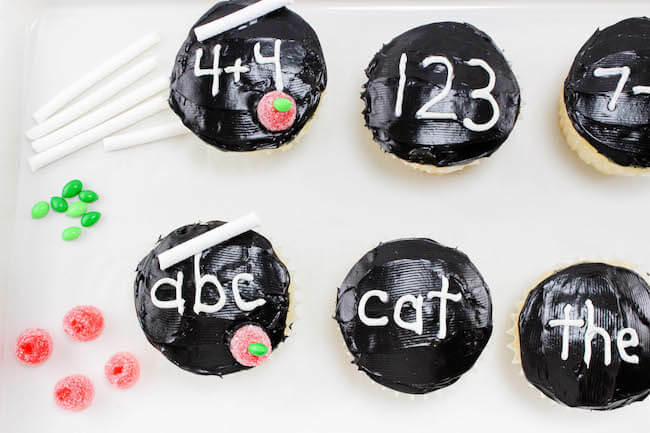 You can also use a detail frosting tip with your piping bag to write letters, numbers, words, or math problems on each cupcake. 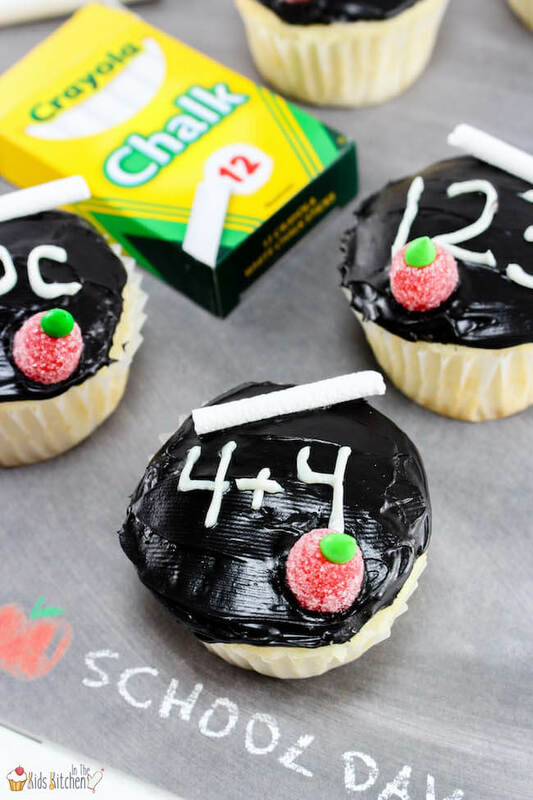 Break the candy cigarettes in half to resemble chalk and lay one piece on each cupcake. 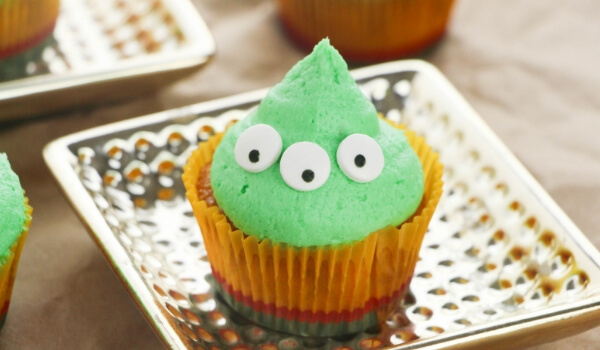 (Note: if you have trouble finding green chocolate covered sunflower seeds in the store, you can also create your own with green melting chocolate). 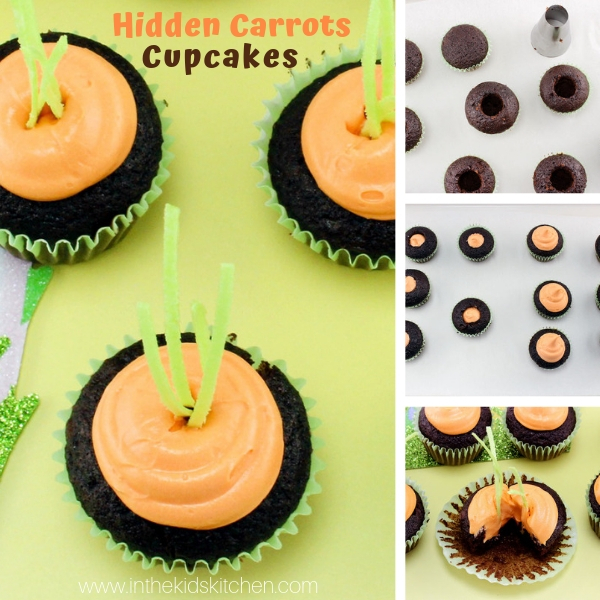 Using the black gel food coloring, darken the chocolate frosting until it is a rich shade of black. 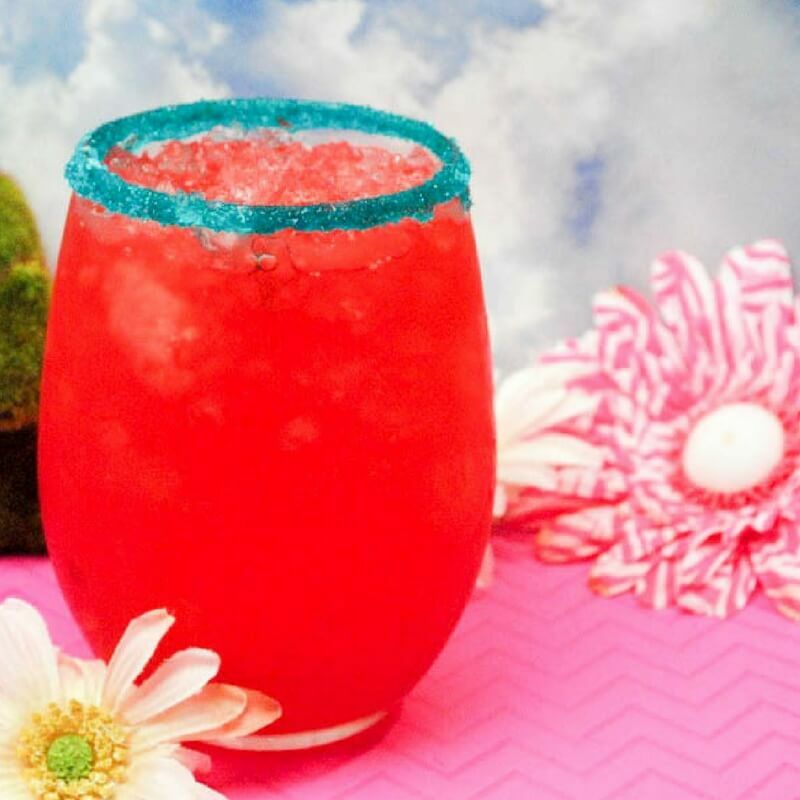 Add food coloring one drop at a time to avoid using more than necessary. 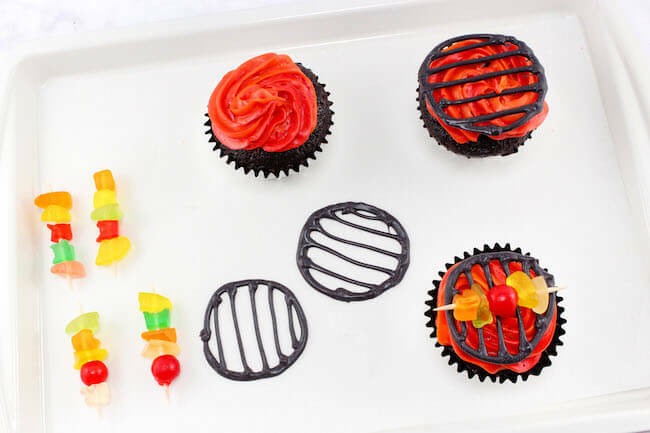 These colorful grill cupcakes are the absolute perfect dessert to make for your next summer barbecue or backyard party! 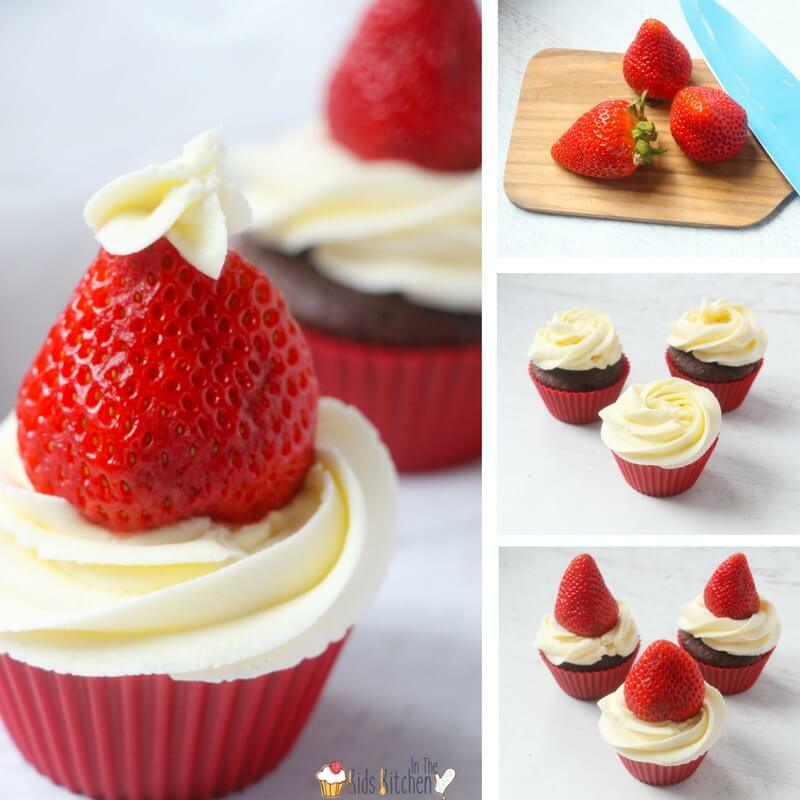 Feel free to use a box mix for your cupcakes, or our from-scratch chocolate cupcakes recipe as the base for the Grill Cupcakes. 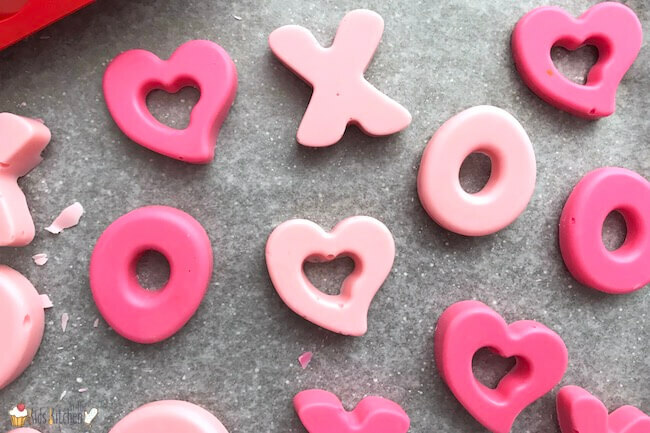 Heat about ½ cup of black chocolate melting discs in the microwave, stirring every 30 seconds until melted. (Be sure to use a microwave-safe bowl for melting the chocolate and handle carefully). 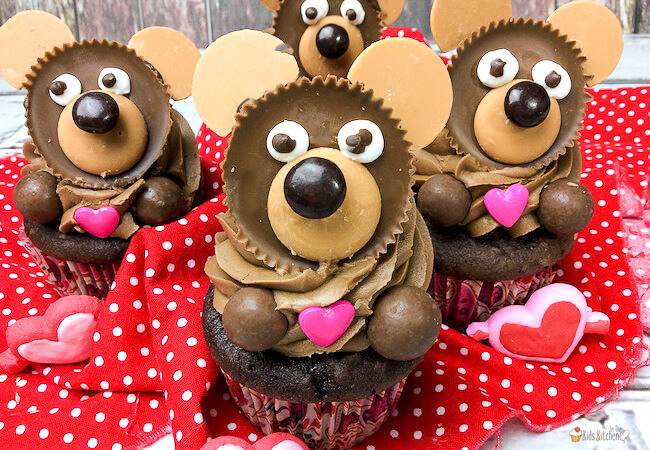 Scoop the melted chocolate into a small plastic bag and cut a tiny hole in the corner. 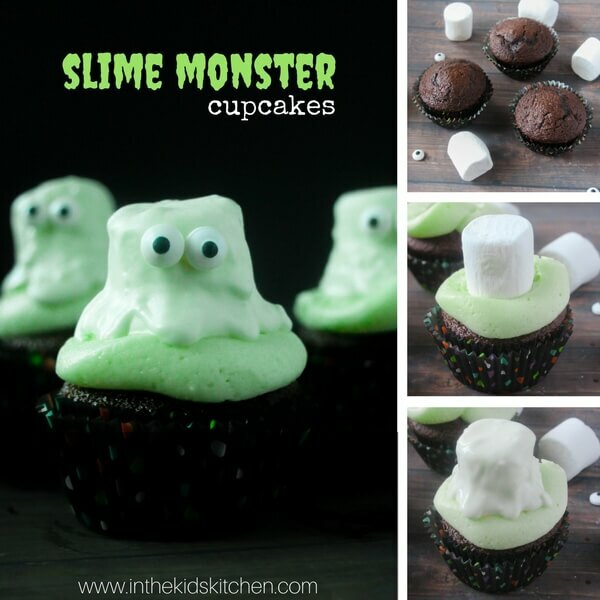 You can also use a plastic piping bag for this step. 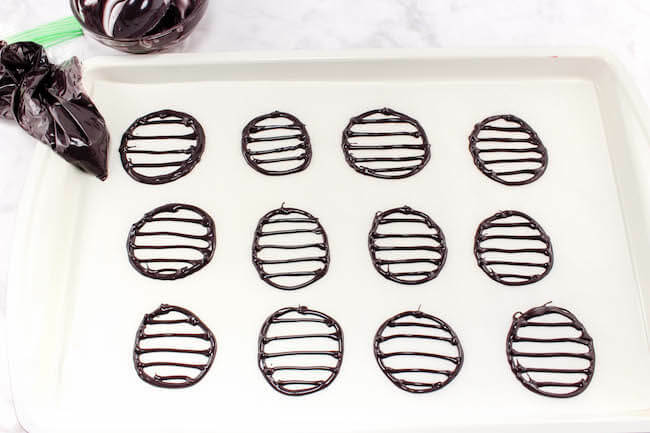 Using the melted black chocolate, pipe twelve circles onto a baking sheet lined with parchment paper. 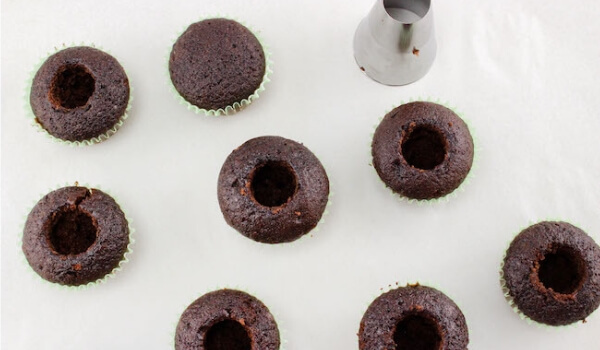 Your circles should be about the same width as the cupcakes. Next, pipe chocolate lines across each circle to resemble a grill grate. Allow the chocolate grill grates to set completely. 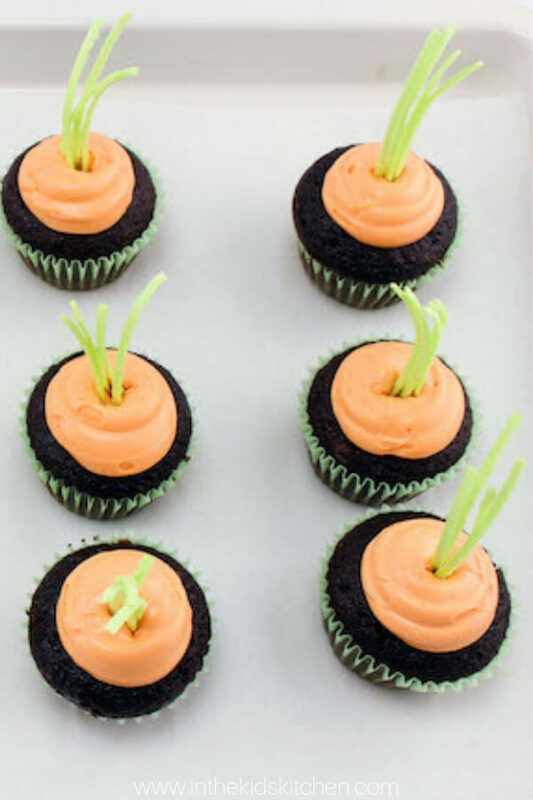 Fill one piping bag with red frosting and one piping bag with orange frosting and secure the two-color swirl coupler. 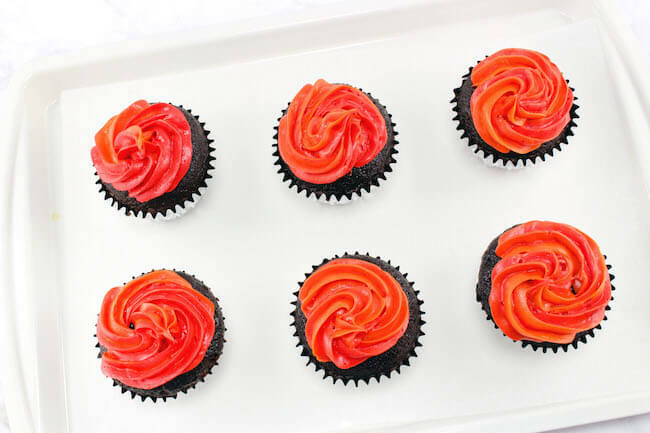 Pipe frosting in a swirl pattern on top the cupcakes to resemble fire. 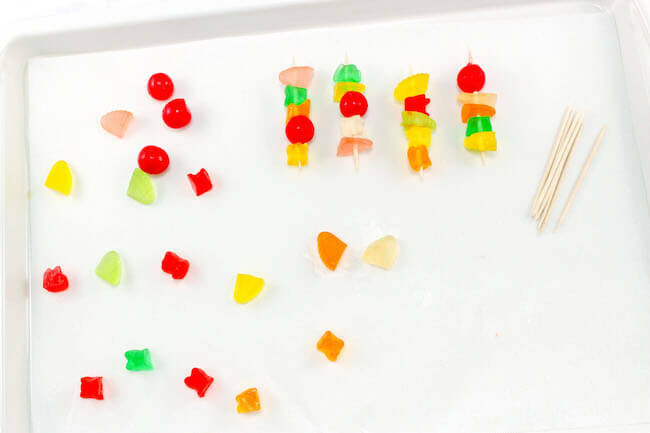 Trim gummy candy (if needed, depending on the shape) and put onto the toothpicks to resemble skewers/kabobs. 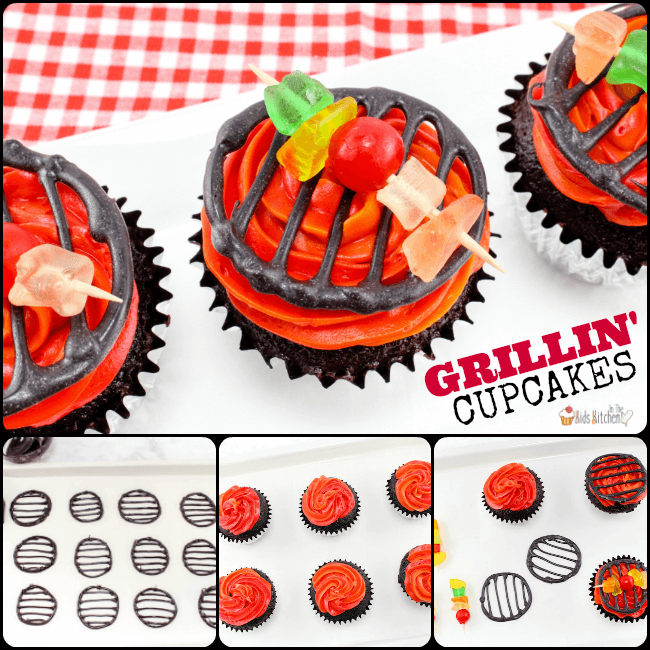 Once grill grates are hard, gently press onto the frosted cupcakes. 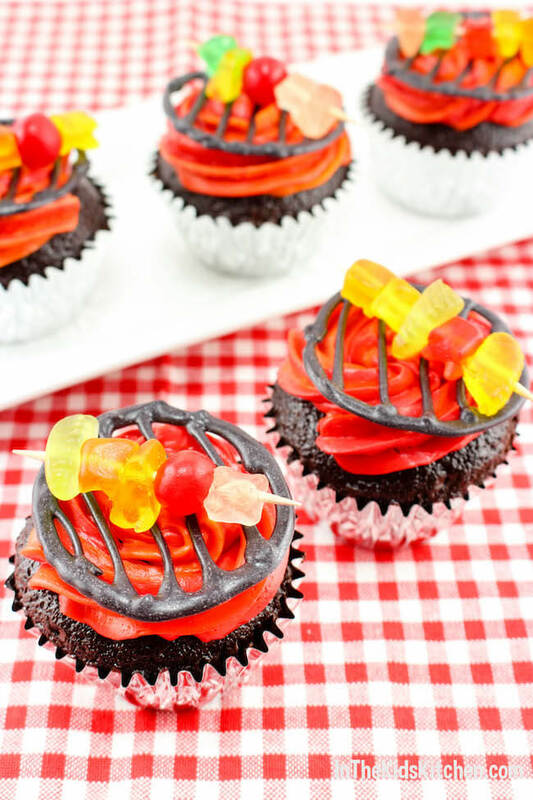 Top each cupcake with a gummy candy skewer. 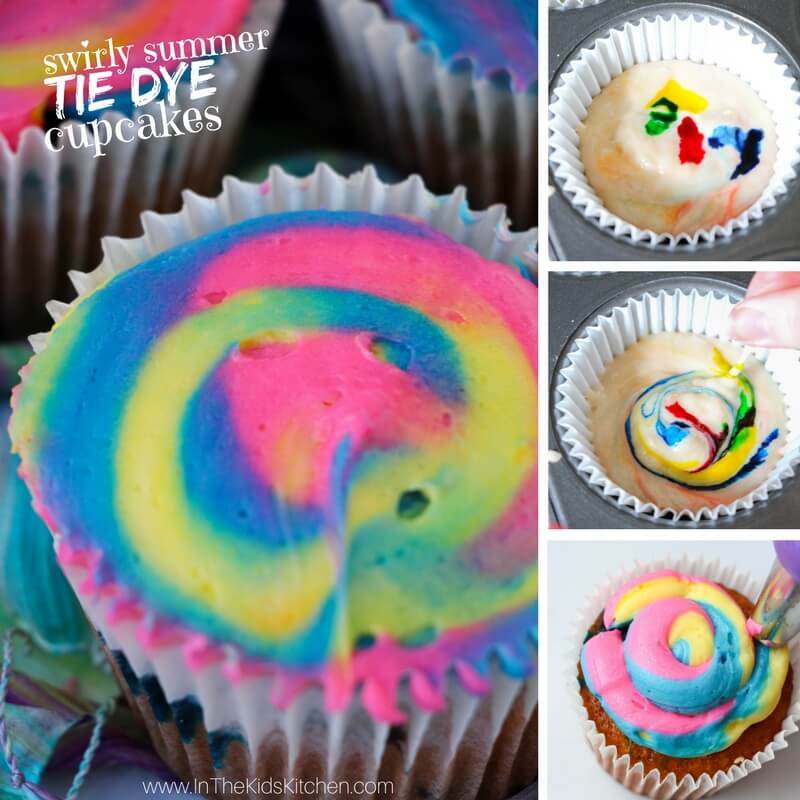 These vibrant Tie Dye Cupcakes are perfect for a summer barbecue or kids birthday party. 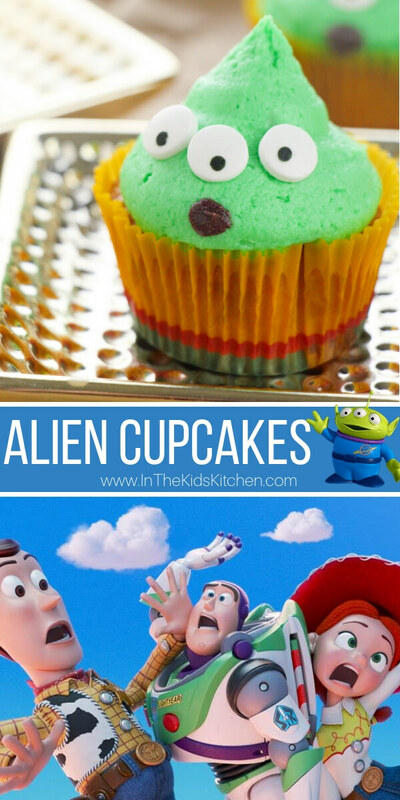 And you won’t believe how easy they are to make! 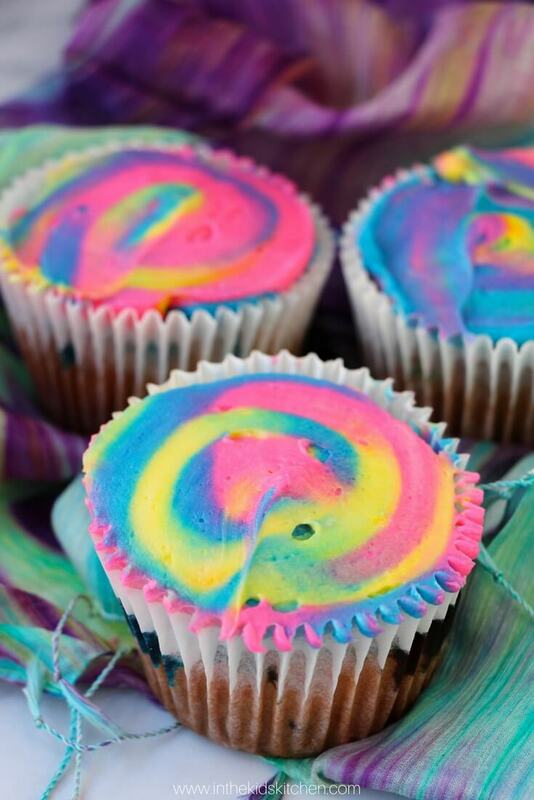 These swirly and colorful cupcakes can be whipped up quickly and are easy for kids to help make. 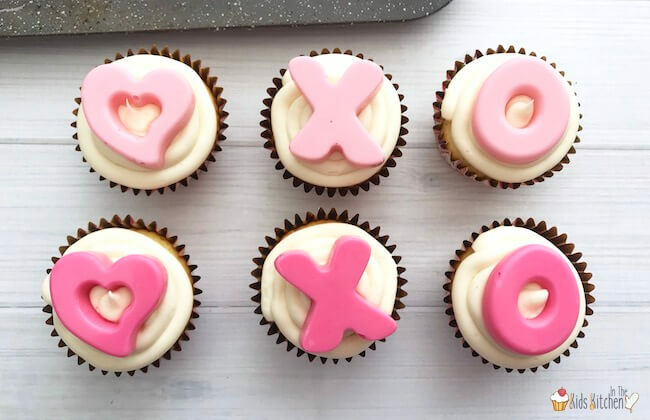 We used a boxed cake mix shortcut, but if you’d prefer to make these from scratch, check out our x cupcake recipe. 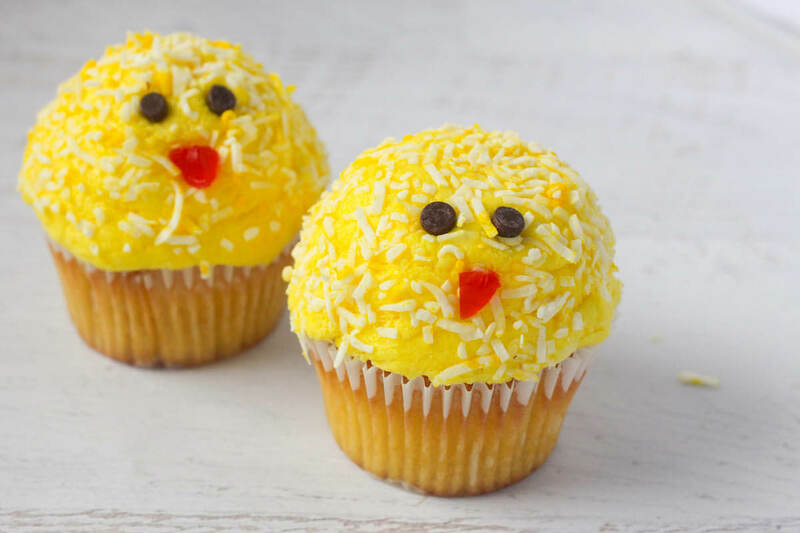 The frosting is from scratch, though – there is truly no substitute for homemade buttercream! 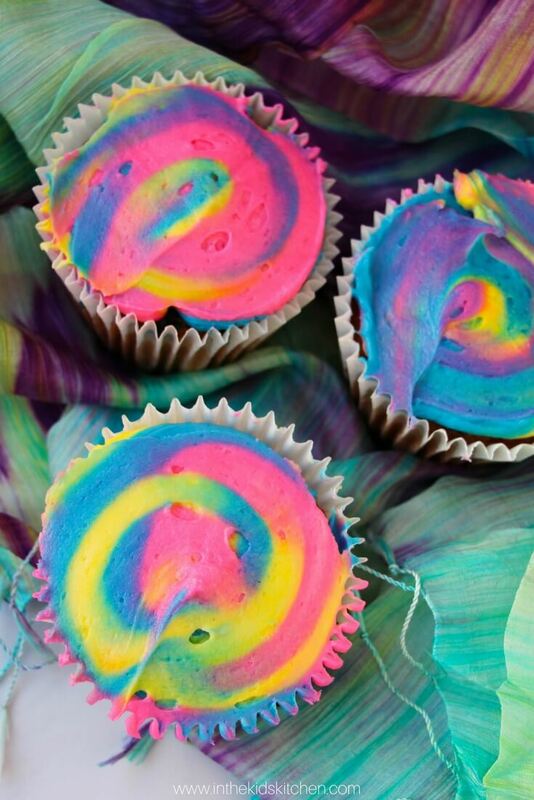 You can make these tie dye cupcakes a couple different ways – dying the batter a few different colors and swirling them together, or just adding a few drops of food dye to the portioned out muffins. 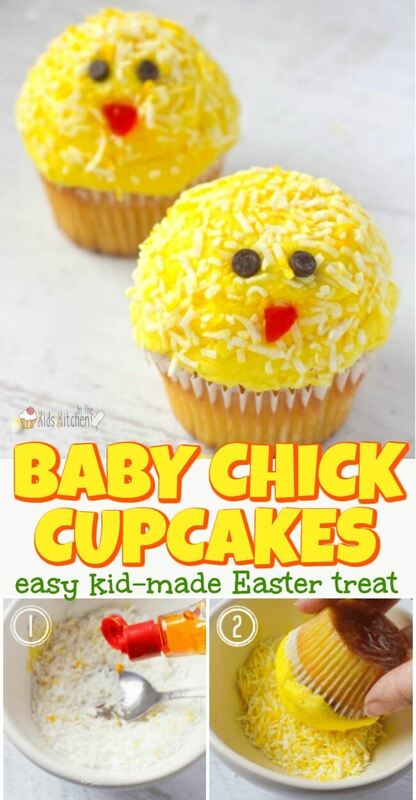 I found it easier to do the second option with all of the kids (and hey, less dishes for clean up) but the first method will definitely result in more saturated cupcakes. 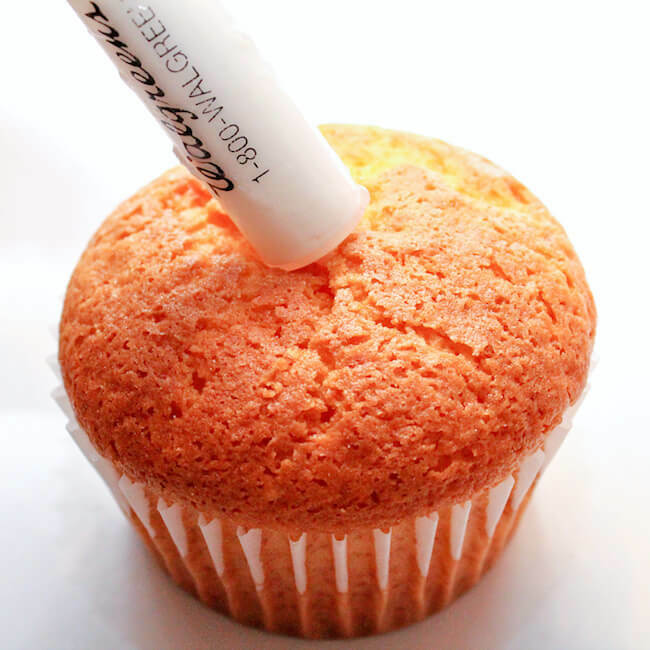 Also, while there are ways to make that swirly frosting without this special icing tip – I highly recommend it. Your results will be flawless! Preheat oven to 375°F. 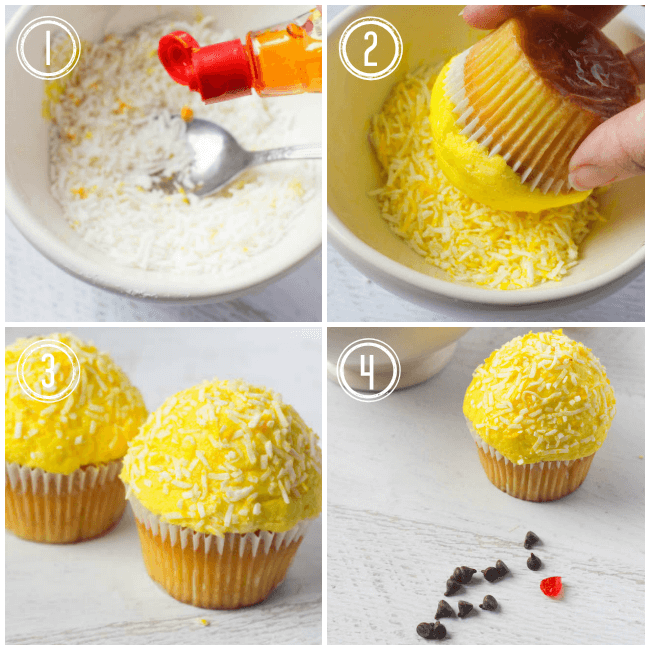 Prepare the cupcake batter according to package directions. 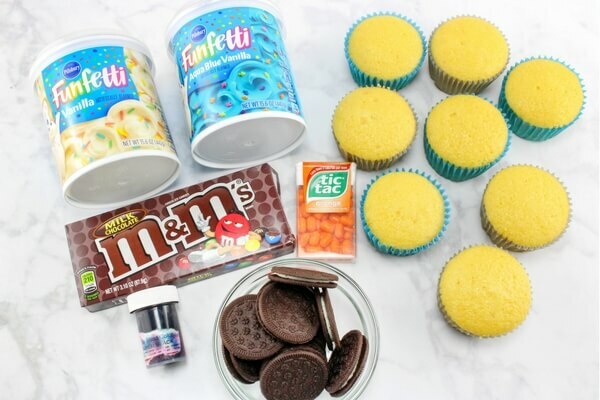 Pour batter into cupcake liners and add a few drops of the different colors of food dye directly onto each cupcake. 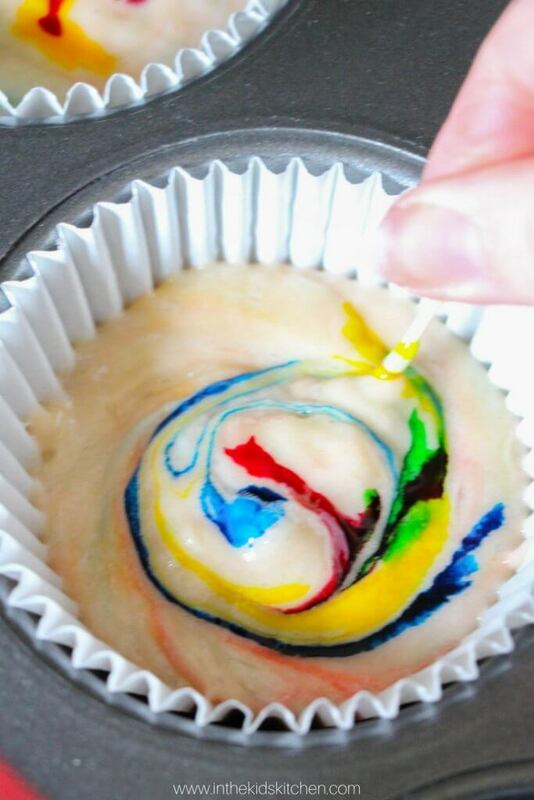 Use a toothpick to swirl the colors in. 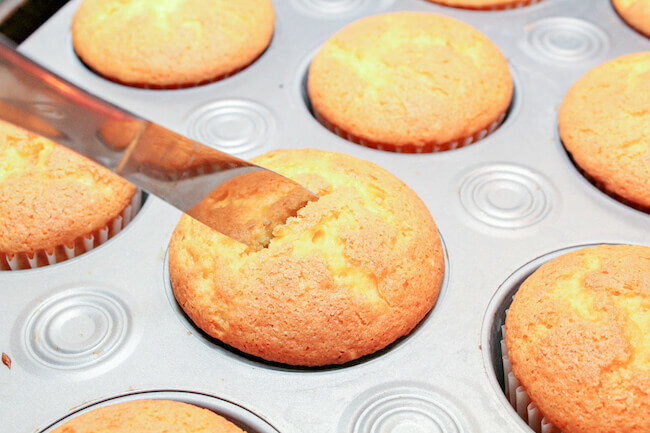 Bake until the tops are set and an inserted toothpick comes out clean. Combine the butter, sugar and vanilla extract with a mixer. Add the cream slowly until you reach your desired consistency. Portion out into 3 bowls. Choose one color of food dye for each bowl, stirring in dye drop by drop until you’ve reached your desired shade. 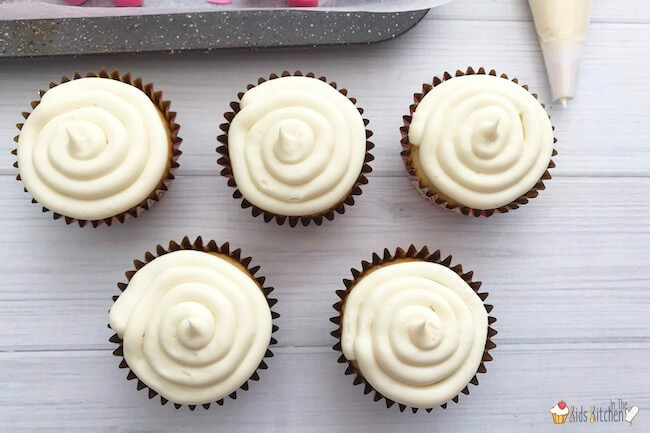 Fit your piping bag with a #12 round tip and spoon the frosting in 1 Tablespoon at a time, pushing the frosting to different sides, so you can see all 3 at once – like a Venn diagram. 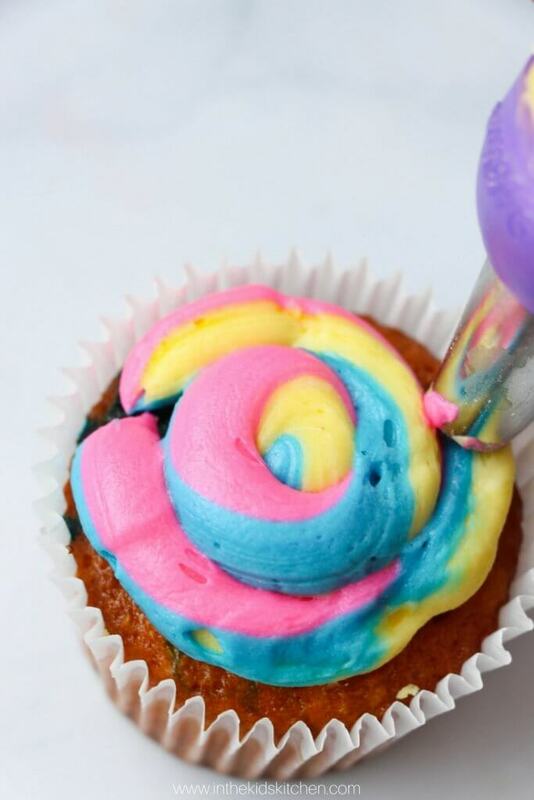 TIP: A tri-color frosting coupler is an inexpensive kitchen tool that makes it a breeze to frost swirls of different colors at the same time. 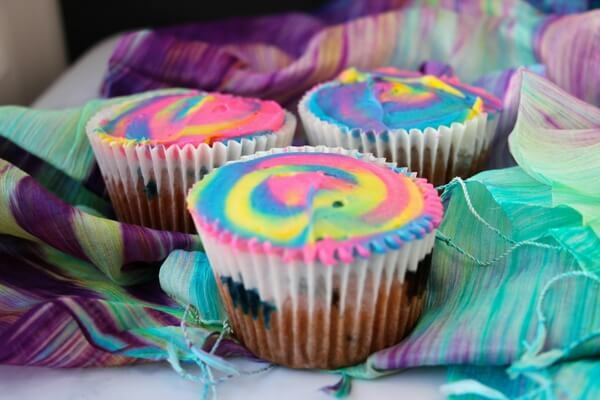 Makes 24 tie dye cupcakes. 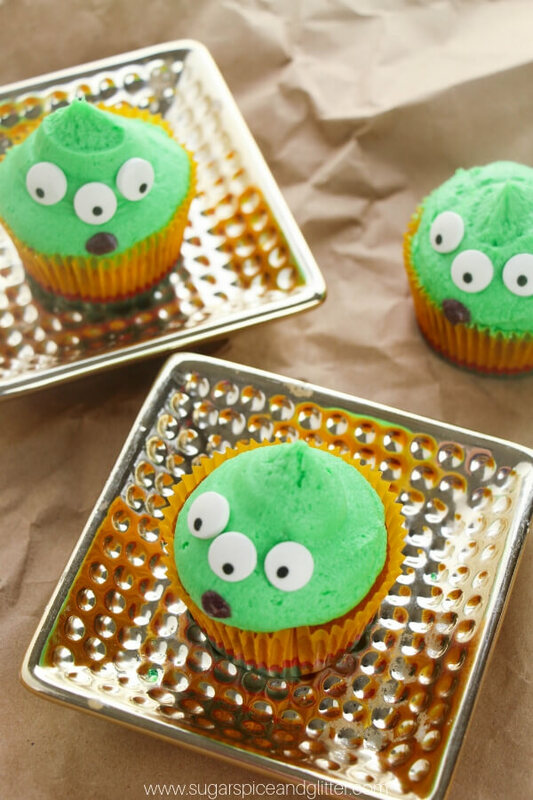 Portion into cupcake liners and add drops of the food dye directly onto each cupcake. 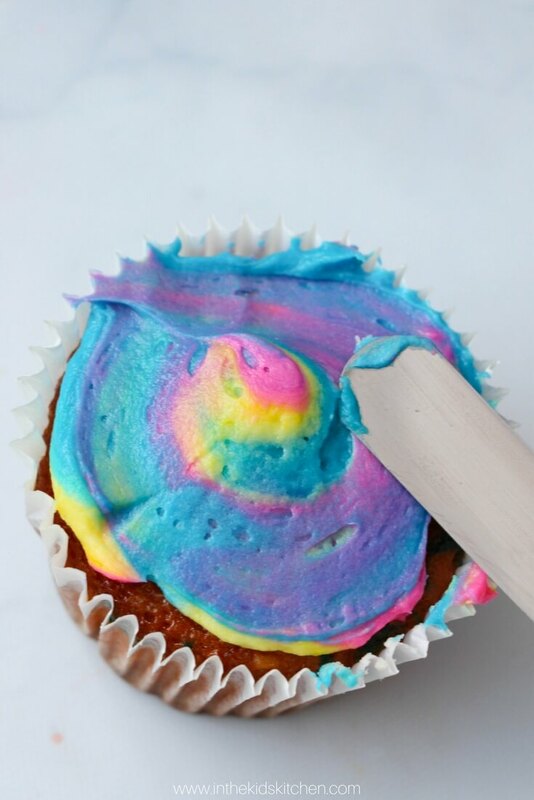 Use a toothpick to swirl the colors in. 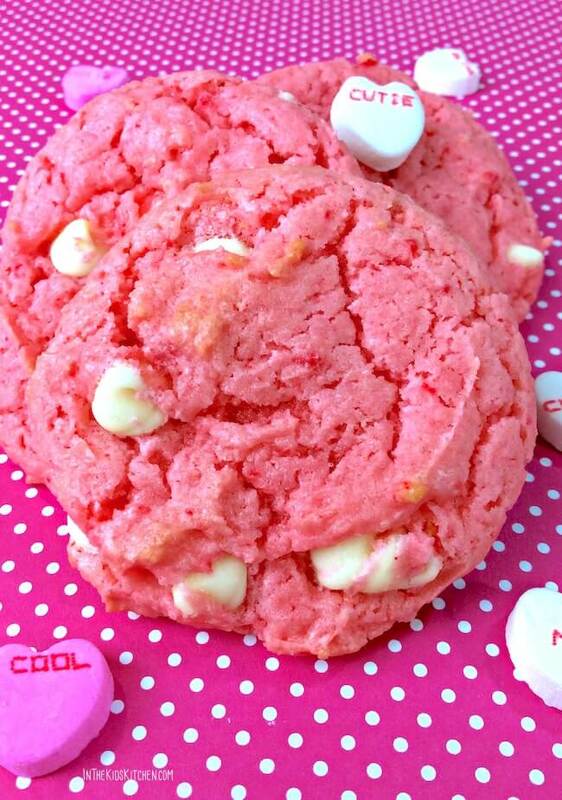 To make the frosting, combine the butter, sugar and vanilla extract. Add the cream until you reach your desired consistency. Portion out into 3 bowls. Dye each bowl a different color using the food dye. 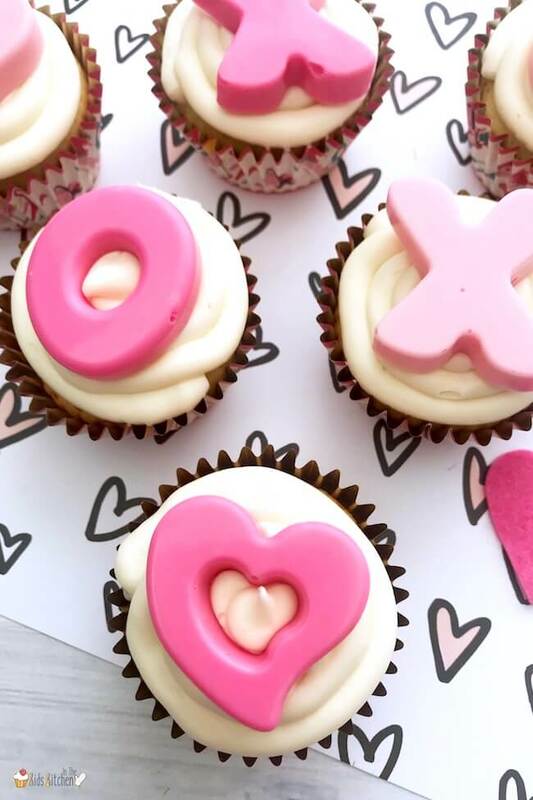 Fit your piping bag with a #12 round tip and spoon the frosting in 1 Tablespoon at a time, pushing the frosting to different sides, so you can see all 3 at once - like a Venn diagram. *Alternatively, you can use a tri-color applicator tip. 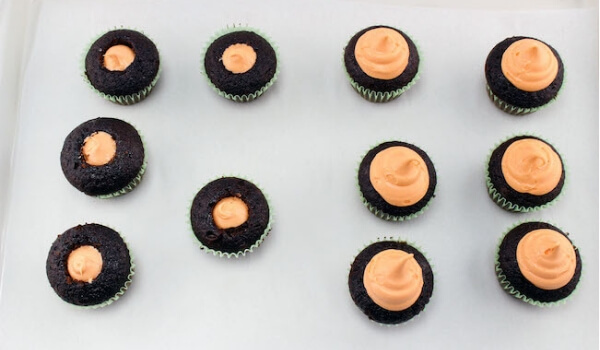 Twist the bag to secure and swirl your frosting onto the cupcakes. 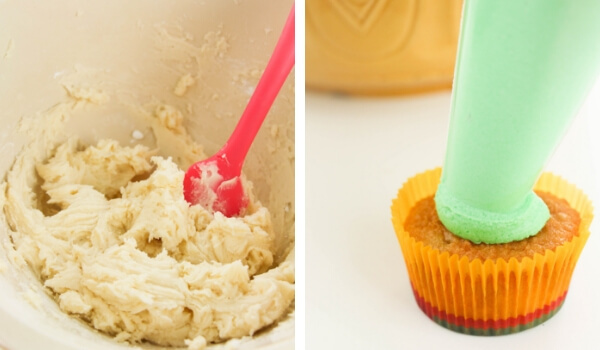 Take an offset spatula and flatten the frosting. Swirl a bit, as needed. Have you ever made tie dye with your kids? 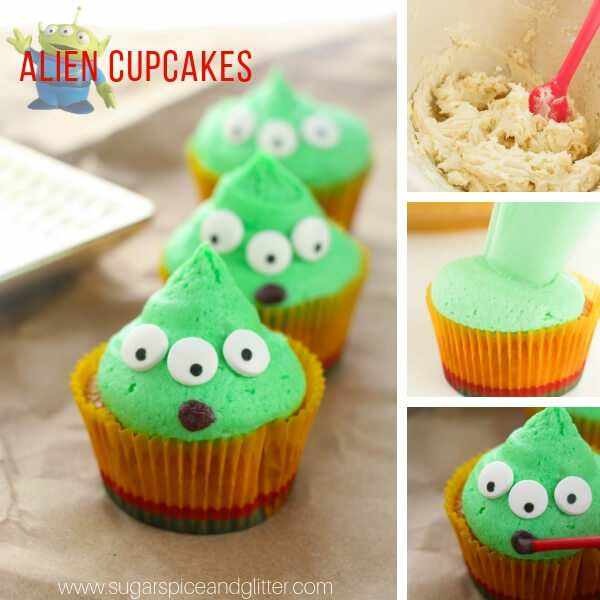 Let us know if you try this recipe and how they liked it! 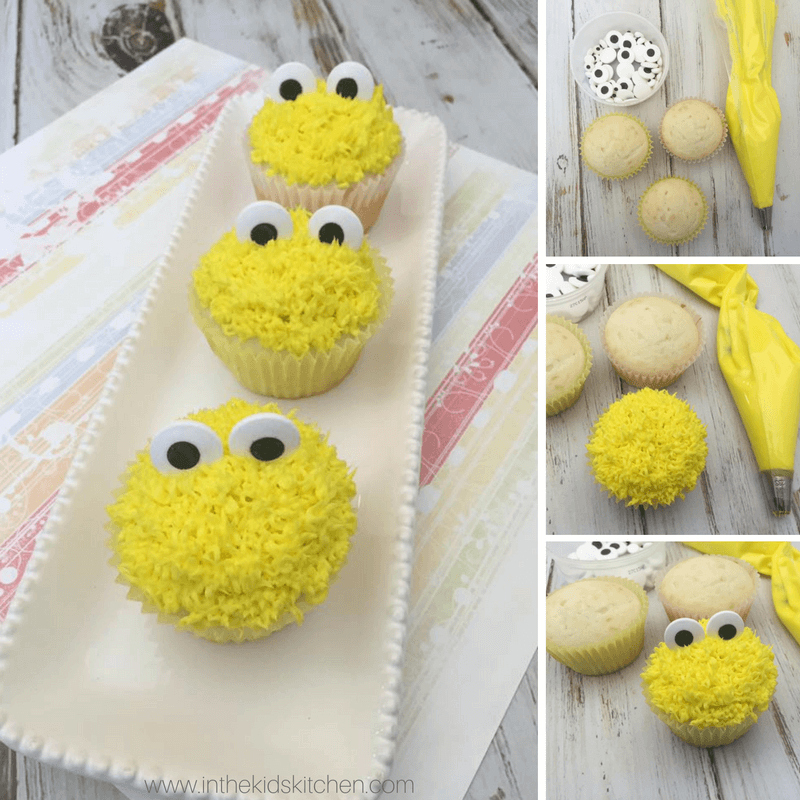 For more delicious and fun cupcake recipes, check out our Pastel & Gold Unicorn Cupcake or our Cookie Monster cupcake recipe. 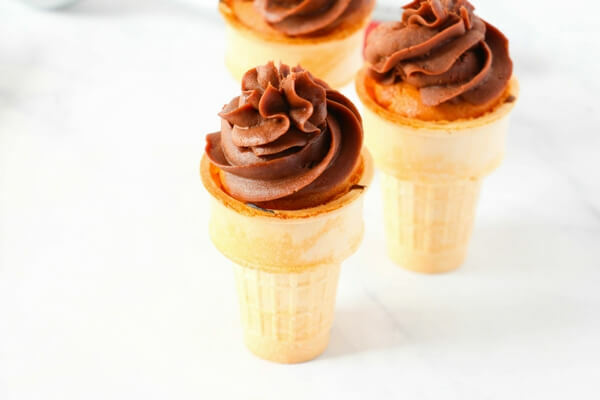 These cute Chocolate & Vanilla Ice Cream Cone Cupcakes are the perfect kids summer dessert — without all of the melting mess! 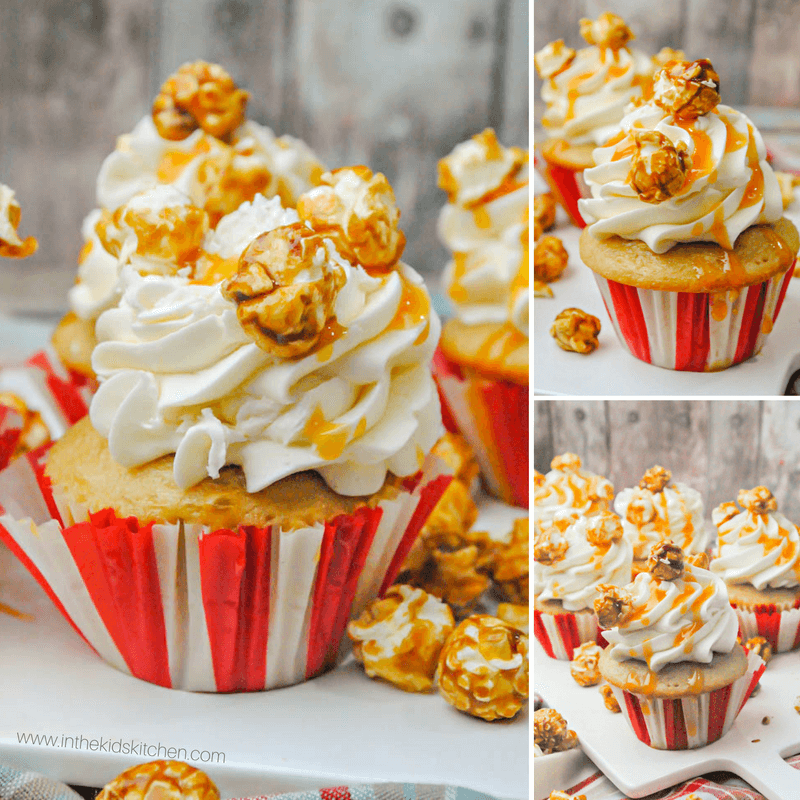 My daughter is obsessed with Miss Allie Cakes on Youtube – it’s a special treat on weekends to get to eat her lunch while watching her newest upload and recently we stumbled across this episode where she makes super cute ice cream cone cupcakes! 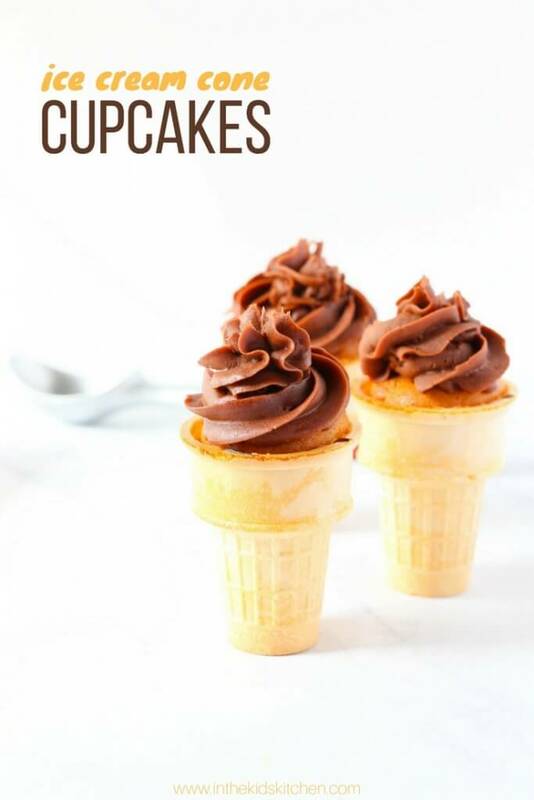 Funny enough, being the baking junkie that I am, I had already bought an ice cream cone baking tray so we set about making our own chocolate ice cream cone cupcakes right away! 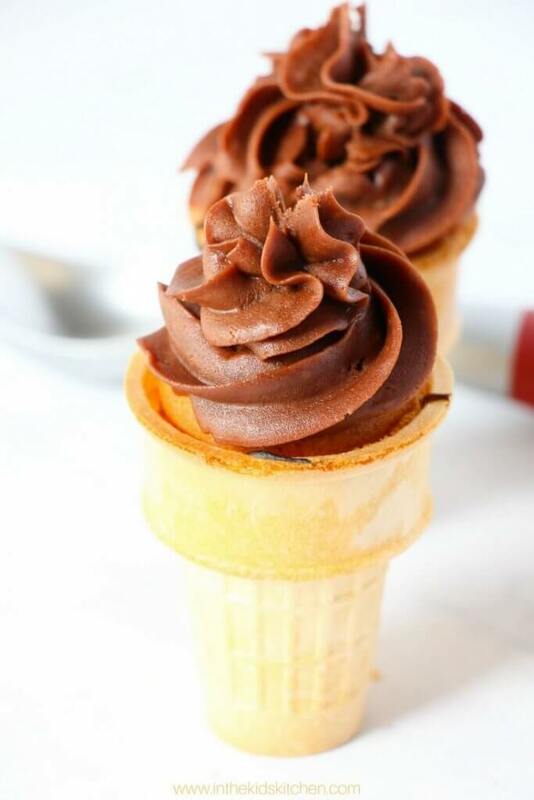 I love the contrast and flavor of the crunchy sugar cone with the fluffy vanilla cake and the creamy chocolate buttercream and it made a cute dessert to bring to my parent’s barbecue that night. 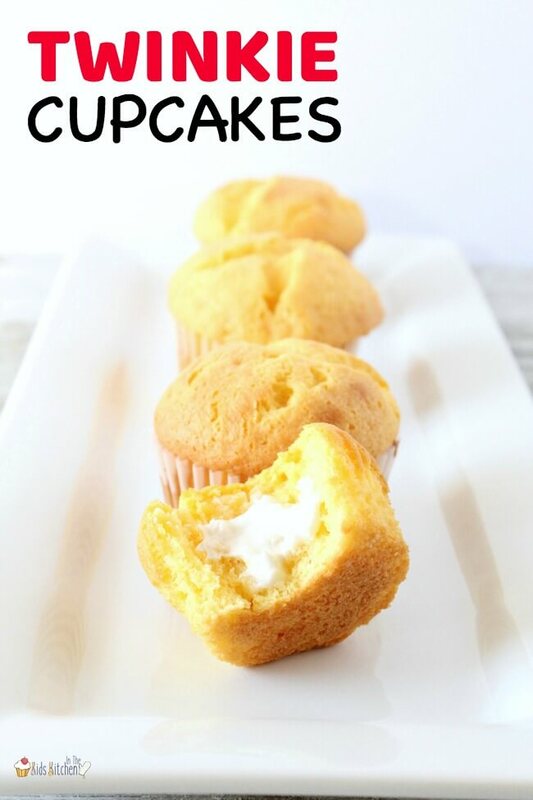 You can make these cupcakes using a regular muffin pan but this cupcake cone tray makes it a lot easier – especially if you are baking with kids! 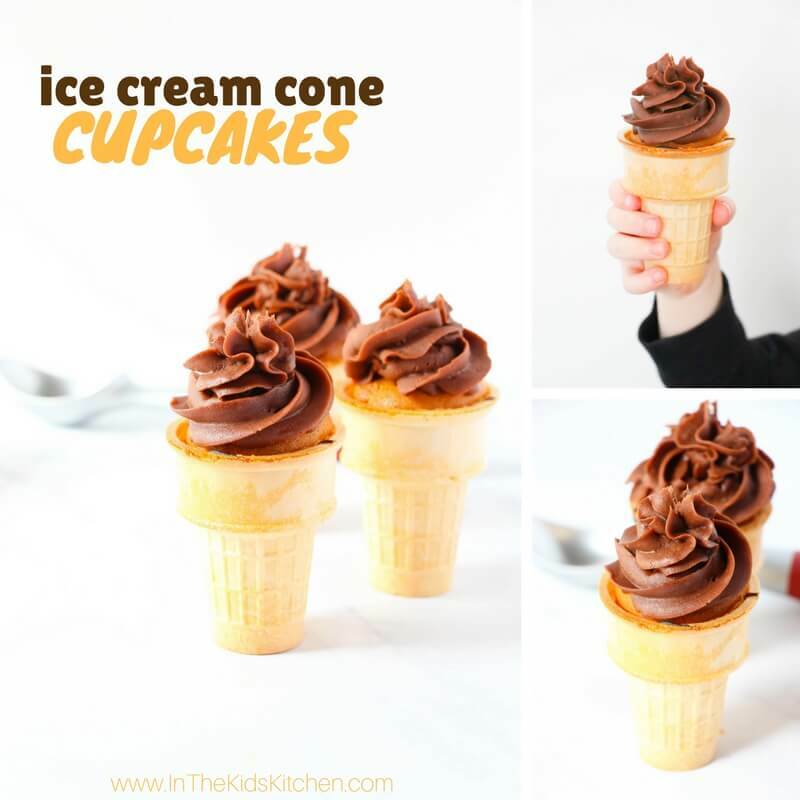 Six bucks and you don’t have to worry about the cones tipping over on the way to the oven and the resulting meltdown (from you or your little chefs) – that’s an easy sell to me! Plus you can use this ice cream cone tray for a sundae bar at a party or to hold cones as you dispense ice cream for a group of kids without getting your hands messy or accidentally knocking one over. 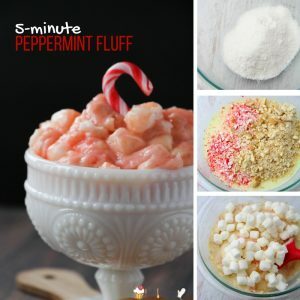 In large bowl, whisk together flour, sugar, baking powder and salt. Set aside. In a second bowl, beat together butter and sugar until light and fluffy, about 2 minutes. Add half of the milk, fully incorporate, then 1 egg, and repeat. Slowly add in the dry ingredients until well mixed. 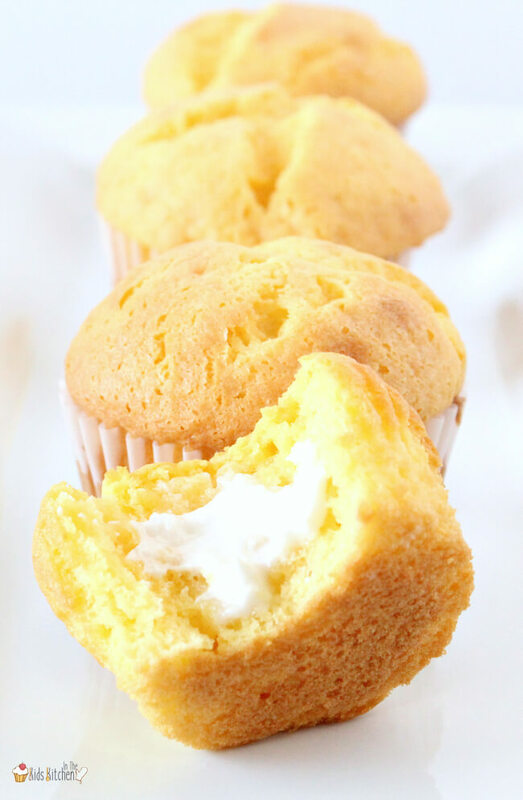 Fill your muffin liners almost to the top to achieve a domed cupcake. Bake until inserted toothpick comes out clean, about 18 minutes. 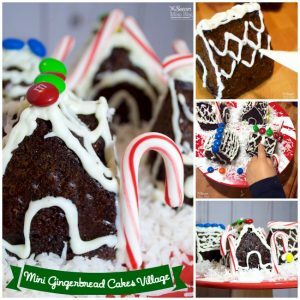 Place the cocoa, 3 cups of the icing sugar, butter, vanilla, and 1 Tablespoon of heavy cream in a large bowl and beat until completely blended. 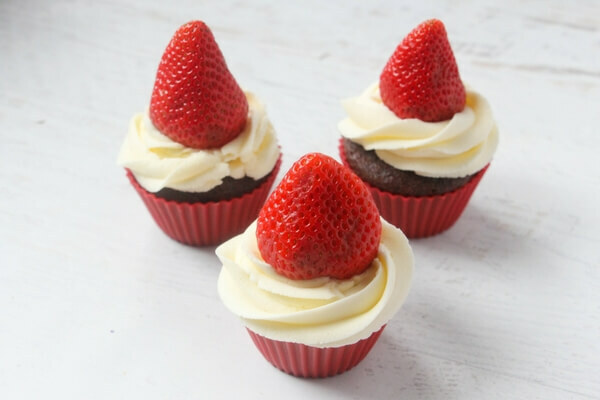 Adjust the consistency with additional heavy cream – or adding more icing sugar or cocoa (select which to use based on the taste of the buttercream and your desired level of chocolatey-ness. 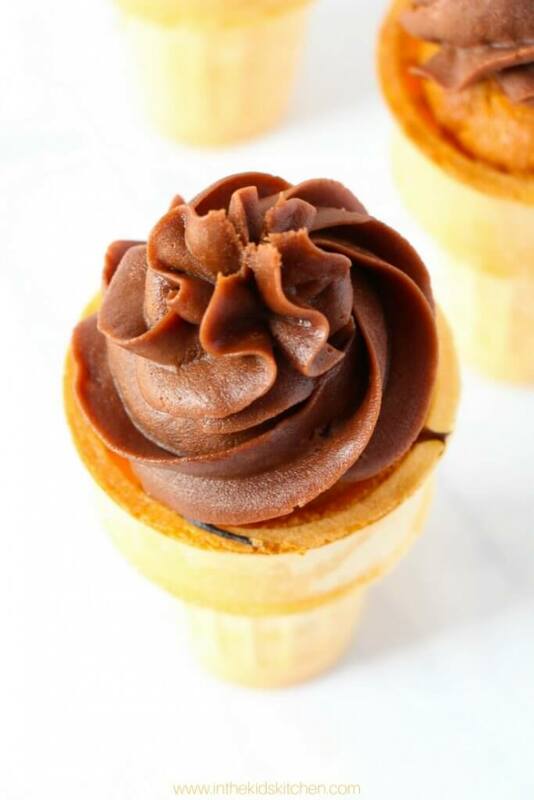 Scoop the chocolate buttercream into a piping bad fit with the open star tip. 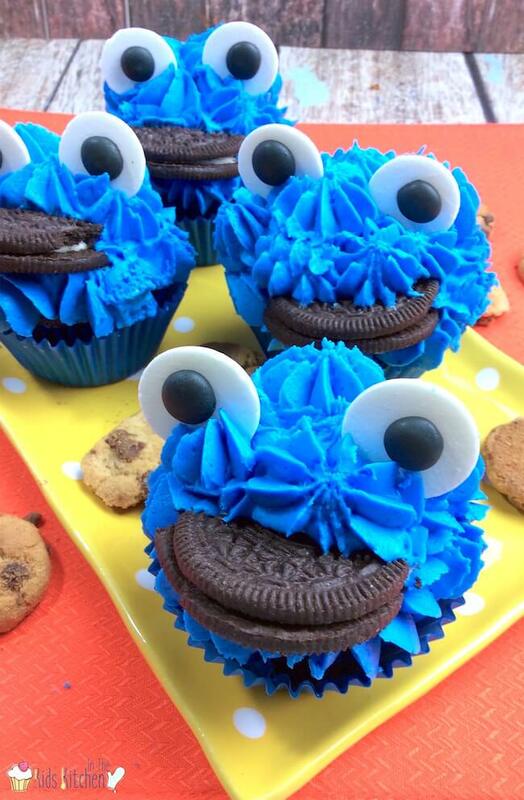 Swirl onto your cooled cupcakes. In a second bowl, beat together butter and sugar until light and fluffy, about 2 minutes. Add half of the milk, fully incorporate, then 1 egg, and repeat. Slowly add in the dry ingredients until well mixed. 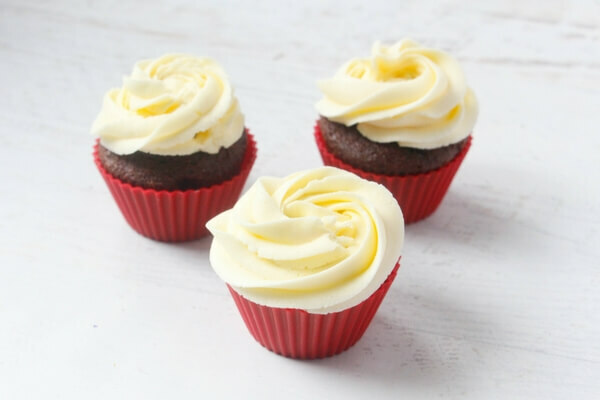 Adjust the consistency with additional heavy cream - or adding more icing sugar or cocoa (select which to use based on the taste of the buttercream and your desired level of chocolatey-ness. 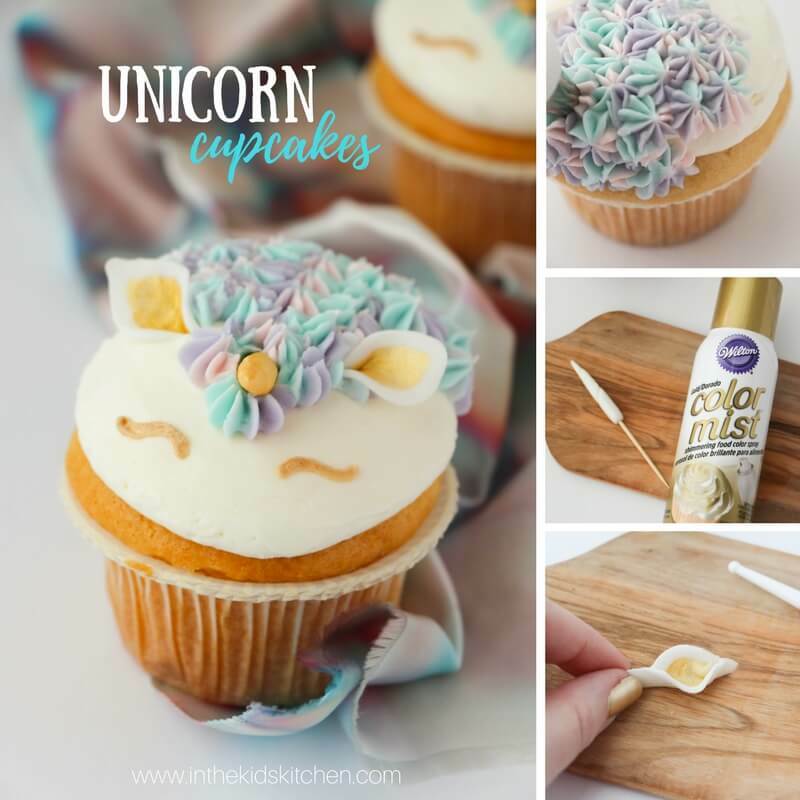 For more delicious cupcakes perfect for your next party, check out our Pastel & Gold Unicorn Cupcakes or our Colorful Tie Dye Swirl Cupcakes! 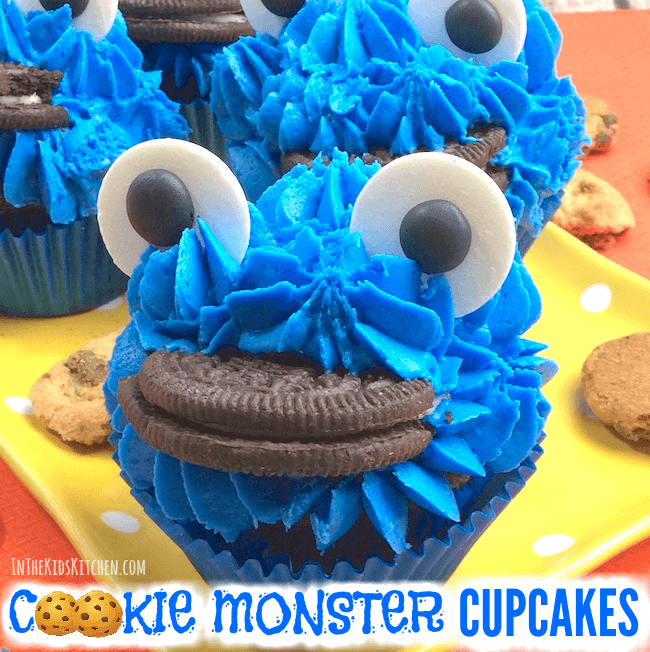 It’s always the perfect occasion for these bright & cheery Cookie Monster Cupcakes! 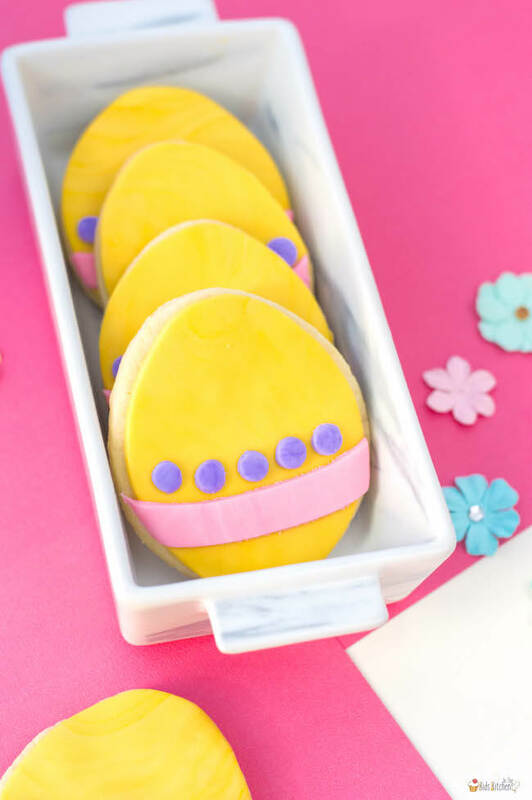 In a medium bowl, combine the cake mix, eggs, oil and water and mix until mostly smooth. Bake in the oven for about 21 minutes (or according to directions on cake mix box). 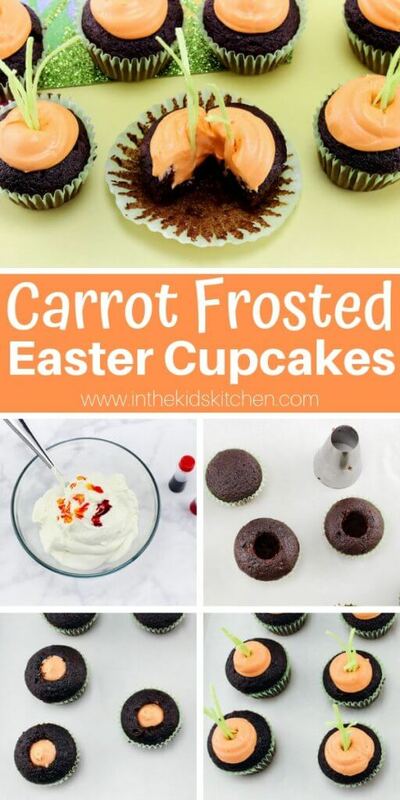 Remove from oven and allow to cool completely before frosting. 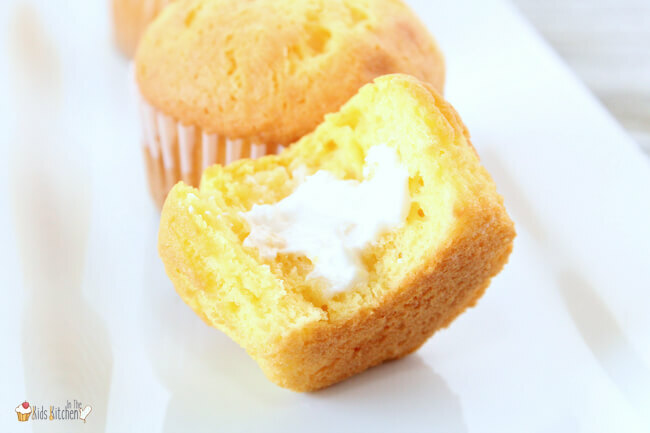 For the frosting/toppings: In a stand mixer (or mixing bowl using hand mixer), combine the butter, powder sugar, vanilla and heavy whipping cream. Mix on medium speed until stiff peaks form. 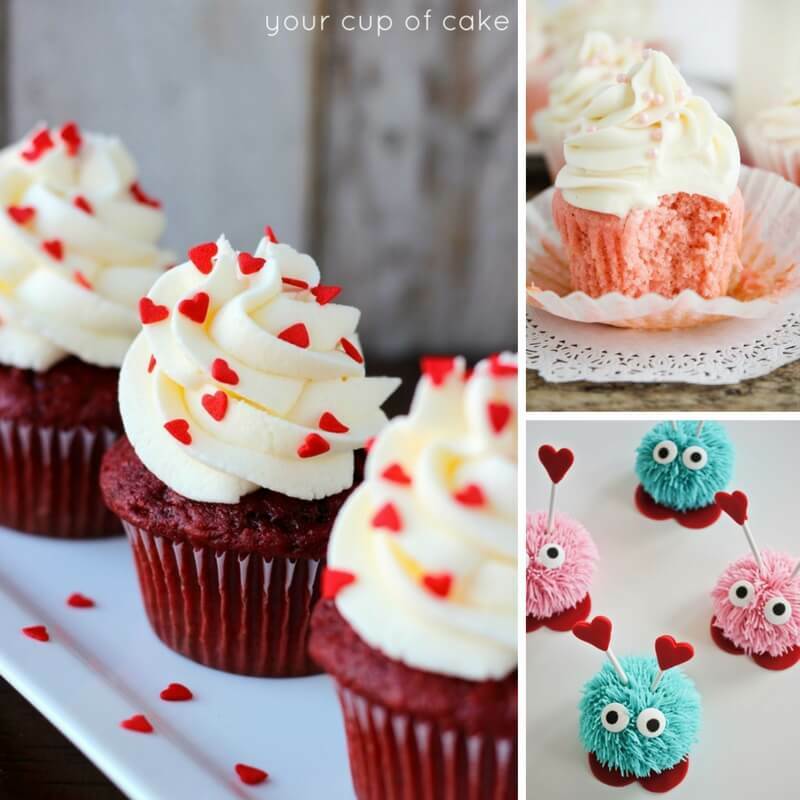 If frosting is soft, add 1/4-1/2 C powder sugar little by little to thicken until you’ve achieved desired consistency. 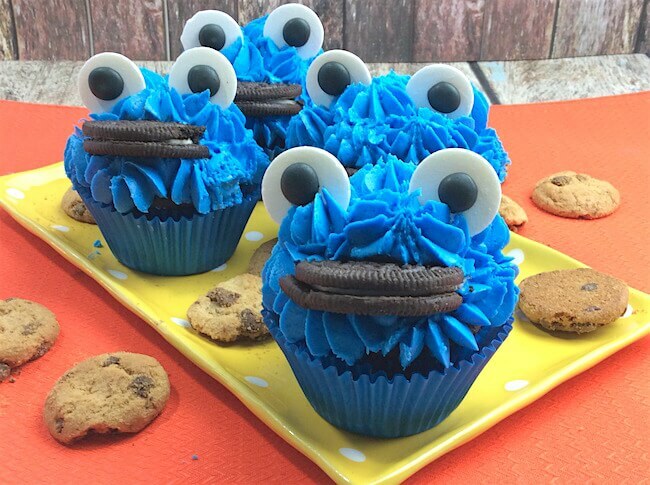 Add in the food coloring 1-2 drops at a time until you get the shade of blue that you like. 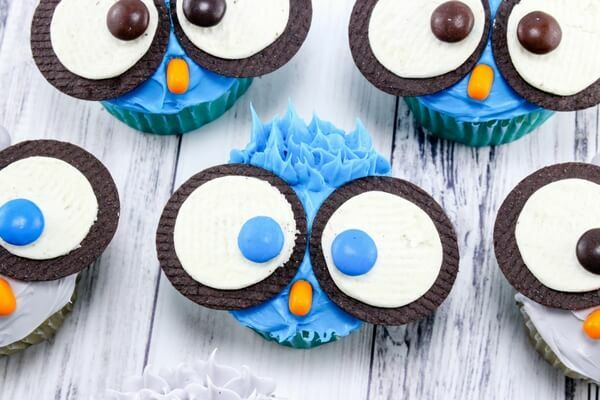 Set cupcakes aside while you prep the eyes. 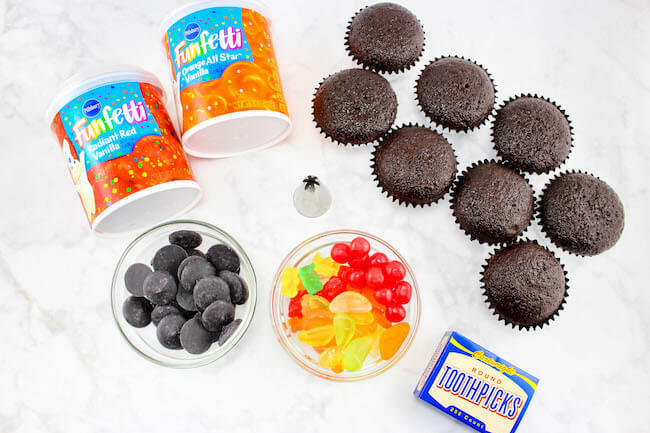 Take two candy melts for each cupcake and the black marker. 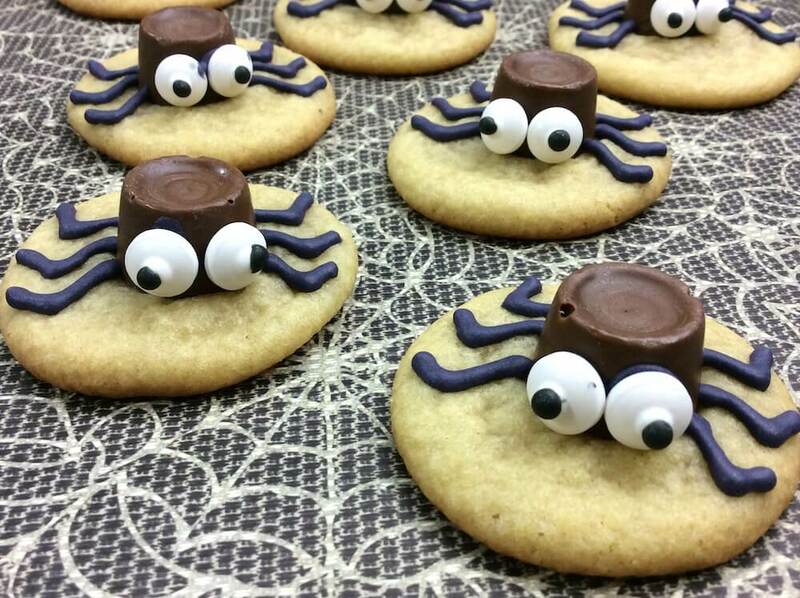 Using the marker, add black dots in the middle of the candy melts for the eyes. 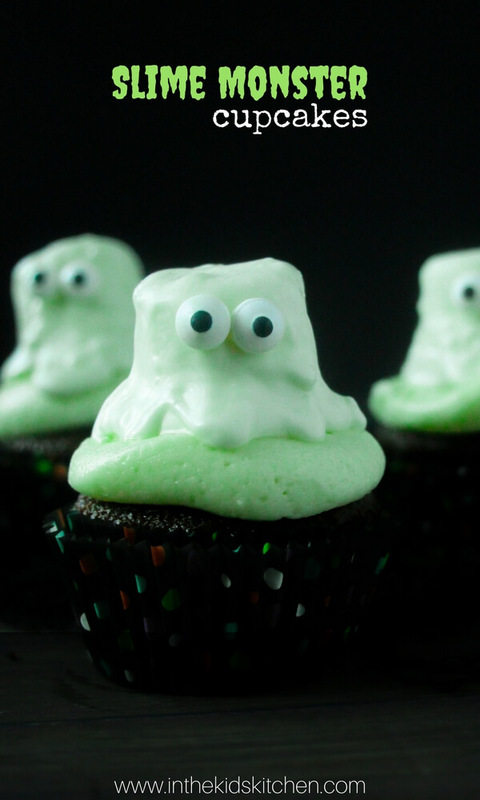 Scoop the frosting into the piping bag. 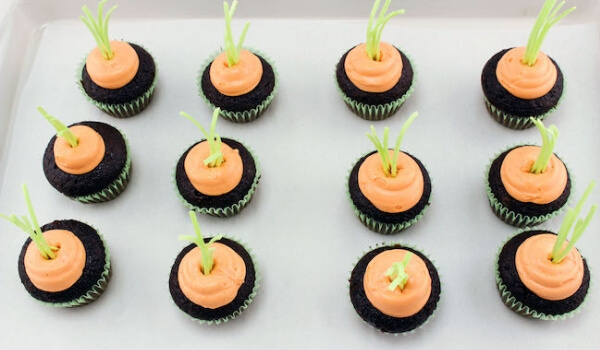 Start piping frosting on cooled cupcakes from the edge to the center. 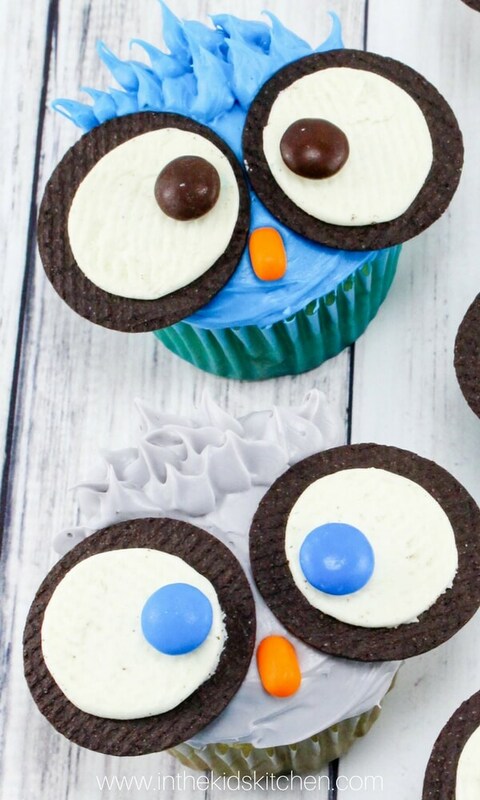 Add the eyes to the top of the cupcake, then cut an oreo cookie in half and place the cookie in the bottom part of the frosting where the “mouth” would be.